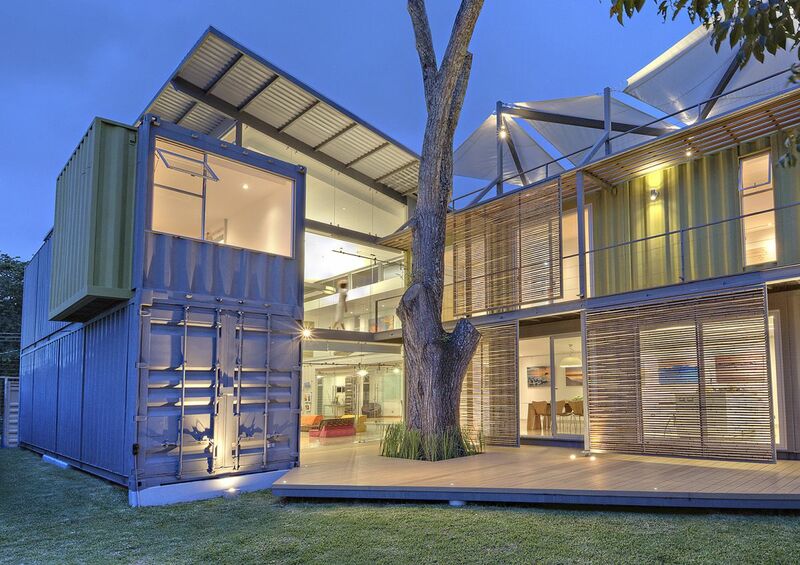 A few years ago a trend emerged which inspired a lot of people to build container homes. 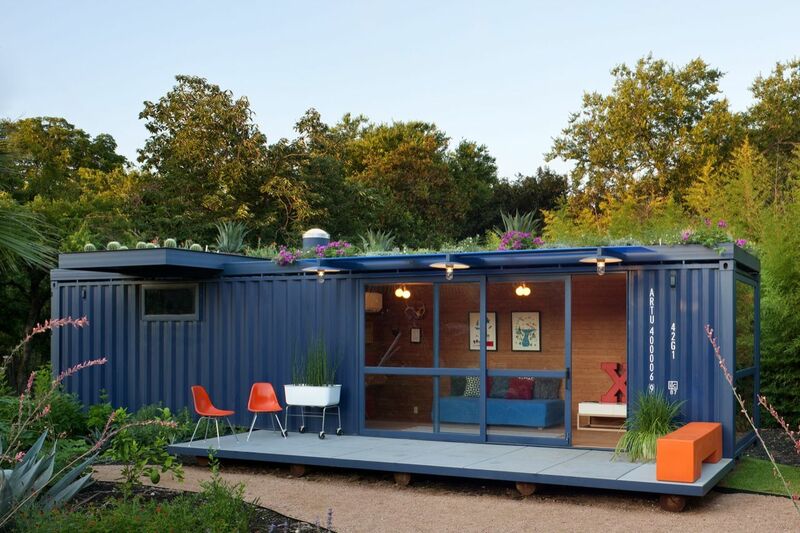 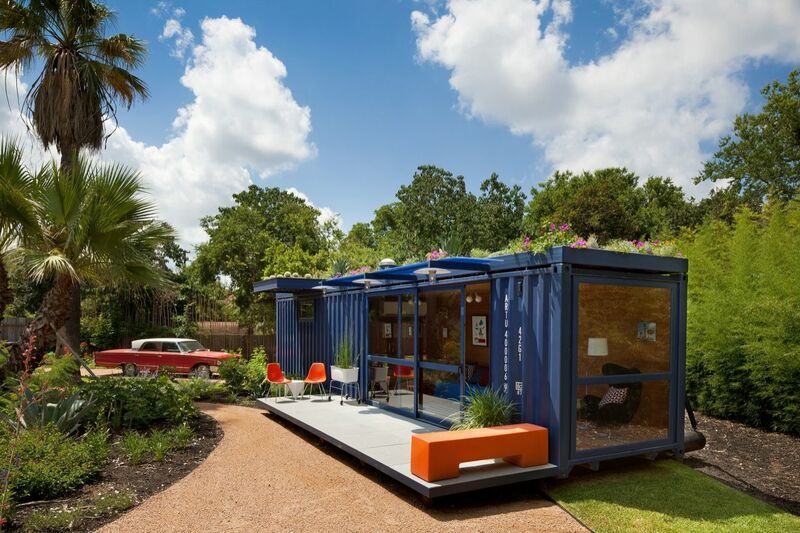 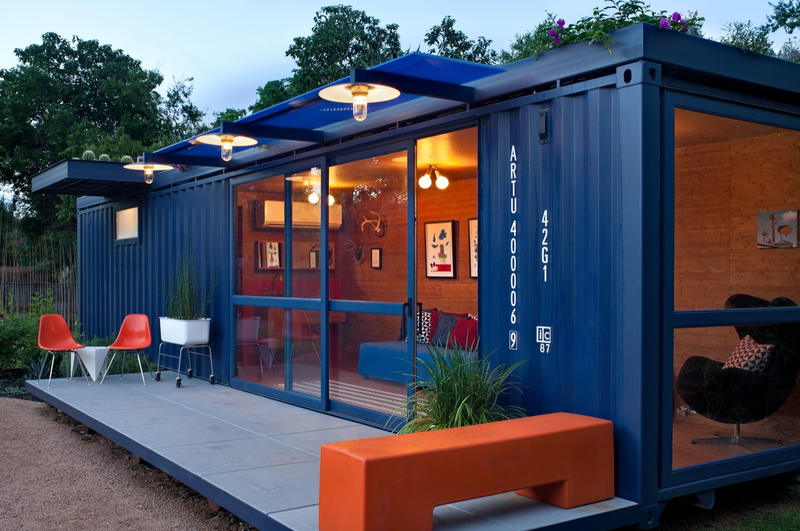 The trend grew and shipping container homes are popular even today. 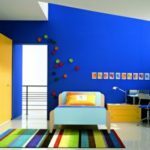 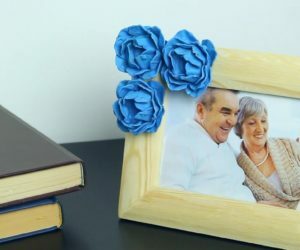 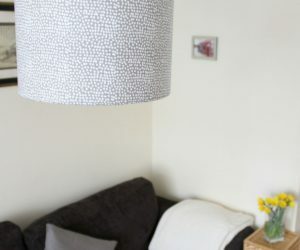 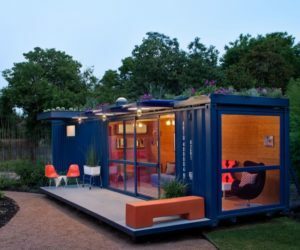 The thing that attracted a lot of people towards this strategy was the fact that building a container homes is easy, relatively inexpensive and takes considerably less time than building a house out of concrete or bricks. 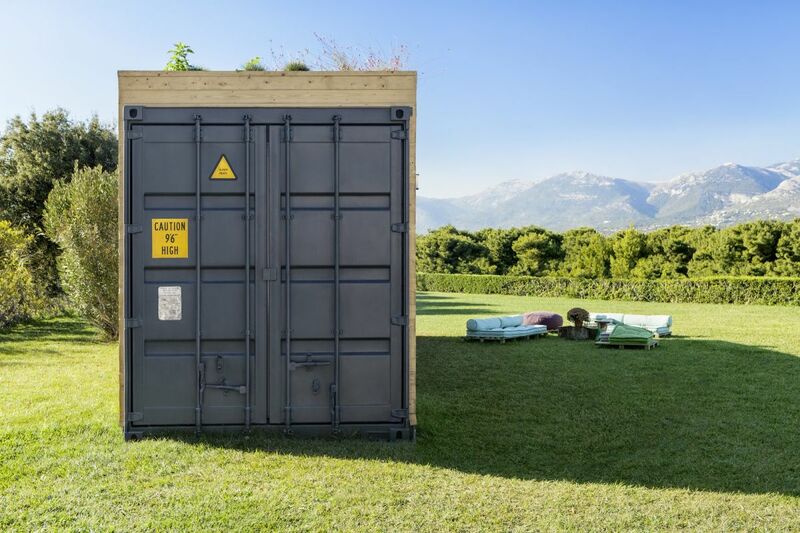 There are however certain precautions you need to take before you embark on such a journey. 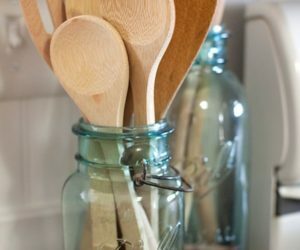 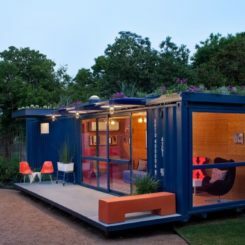 For example, it’s important that you see the actual containers you plan on buying so you don’t spend your money on damaged goods and you should also plan ahead for plumbing and insulation. 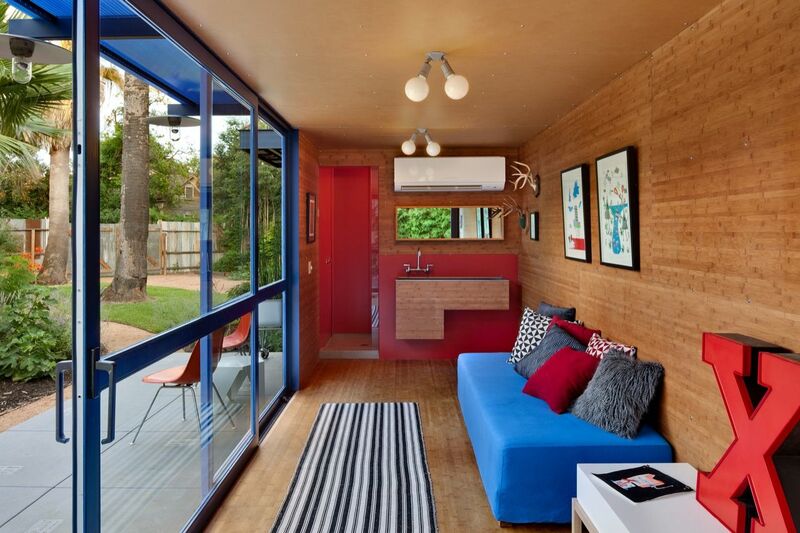 We also suggest finding a contractor able to do it all so you can save both time and money in the long run. 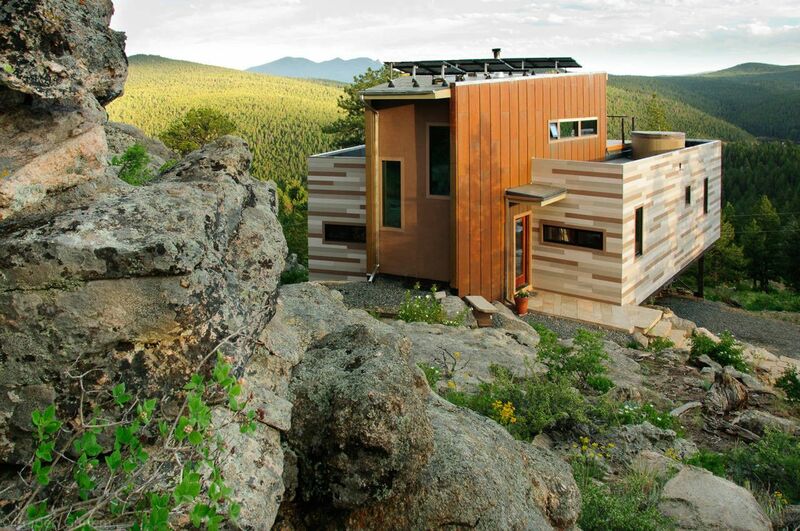 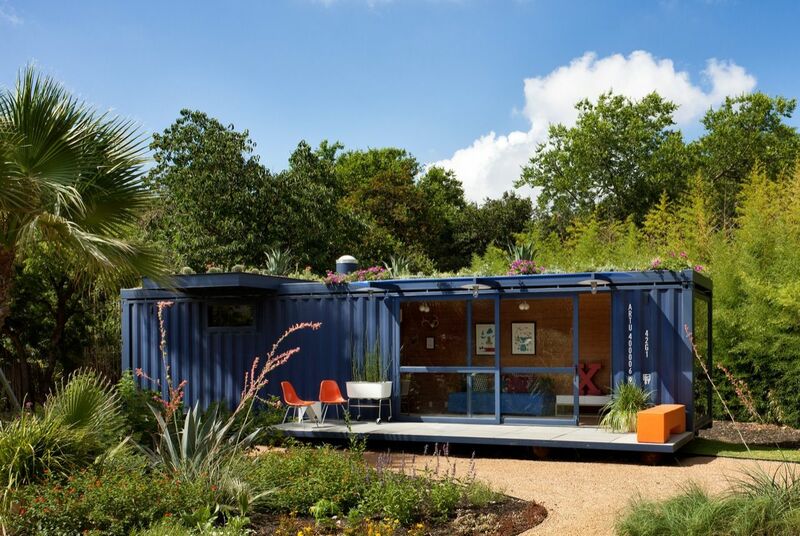 In case you’re not totally sold on the idea of owning a shipping container home, check out these ten inspiring project that we’ve selected for you. 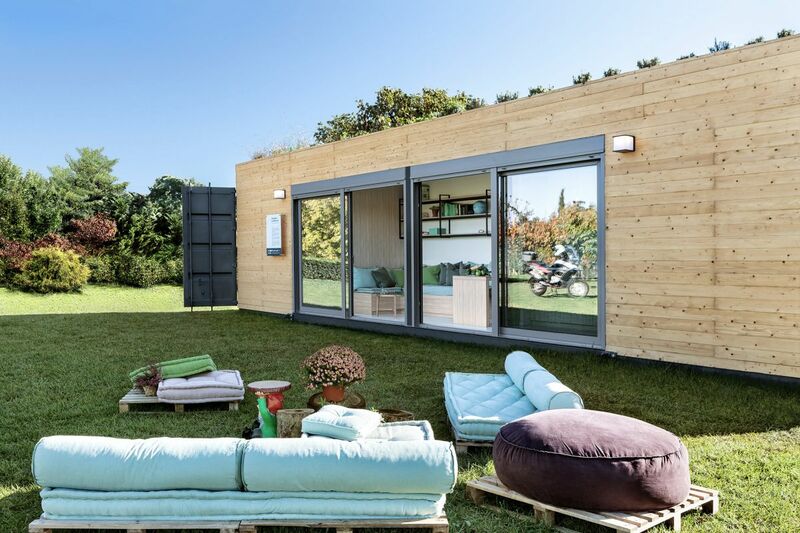 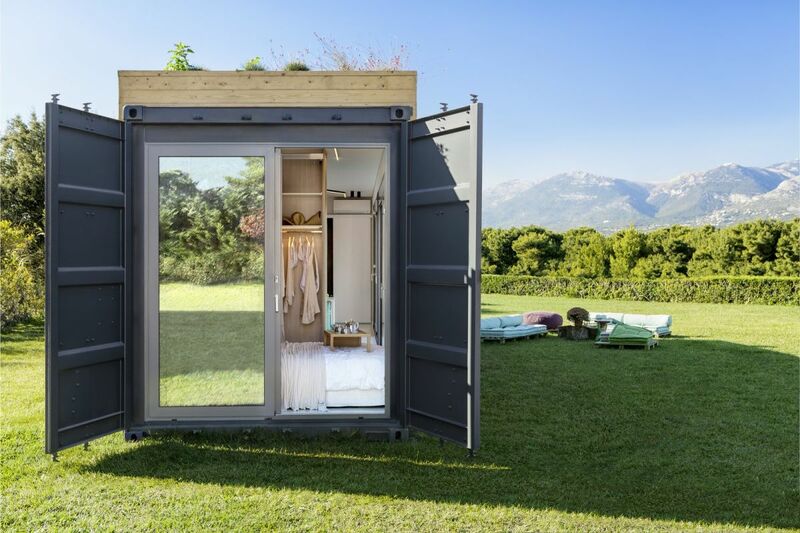 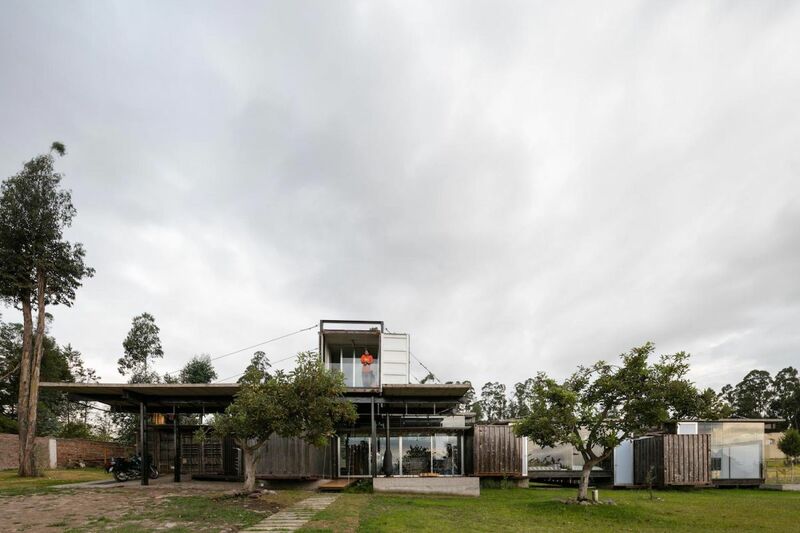 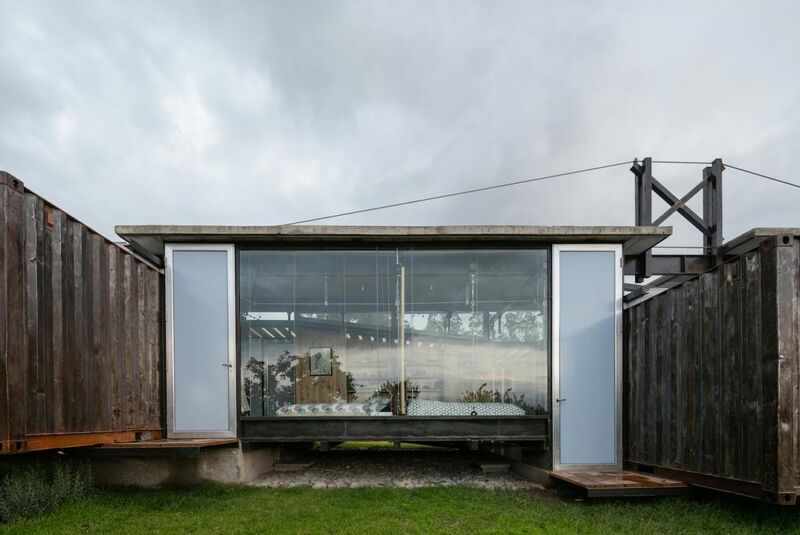 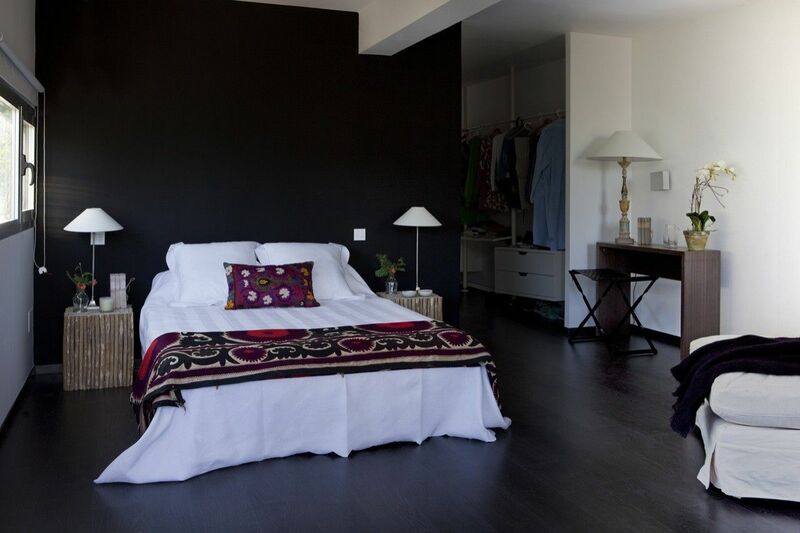 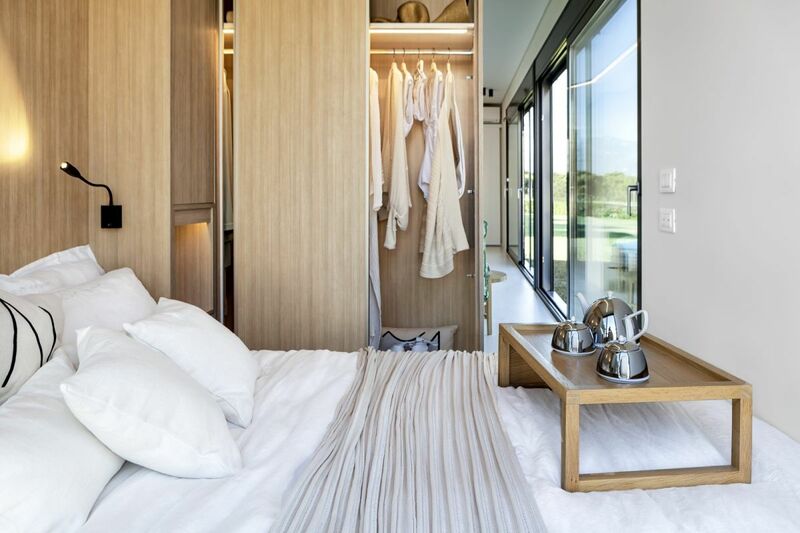 One of the most inspiring projects related to storage container homes was a collaboration between Cocoon Modules, an company based in Athens, Greece and Coco-Mat, a producer of high-quality mattresses. 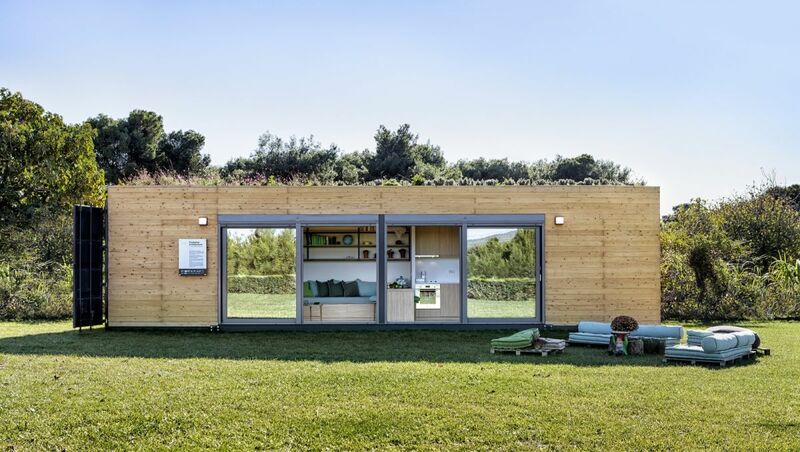 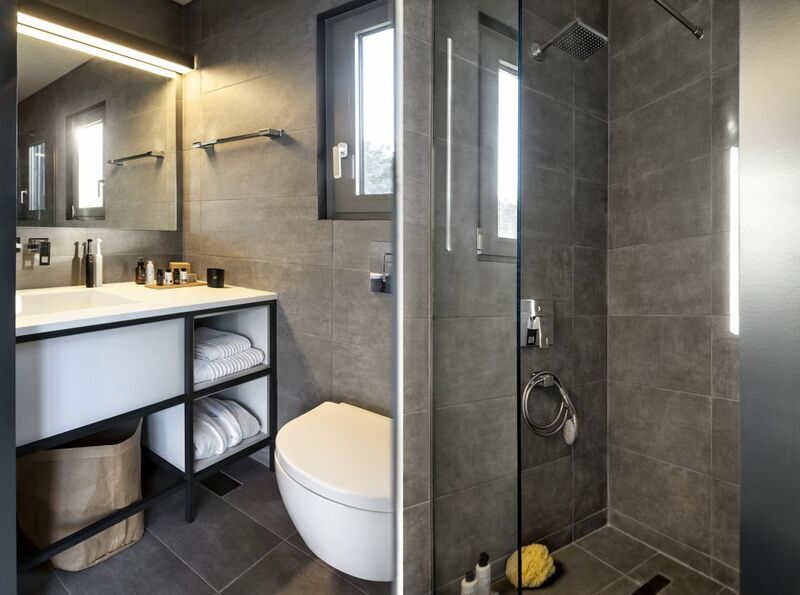 Together these two companies came up with a plan: to design and build a prototype home which is easy to built, cheaper than the overage prefabricated structure, modular and tailored to respond to the user’s need for comfort, privacy and beauty. 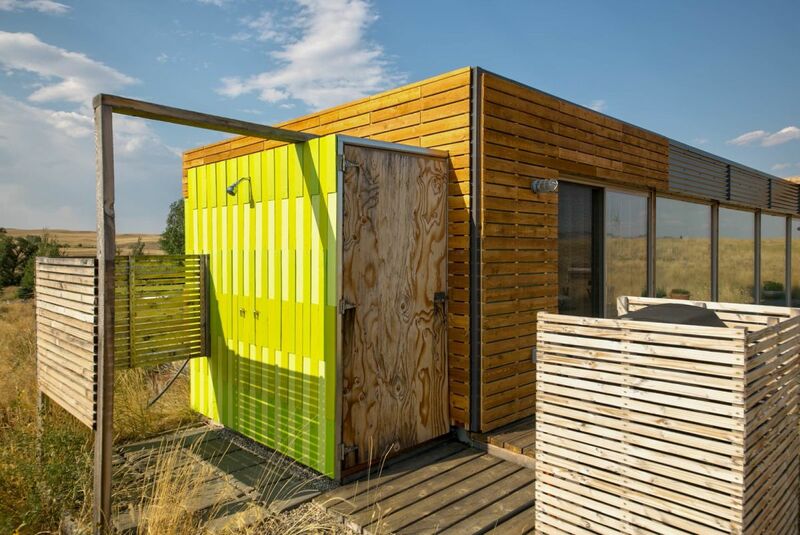 The container home that resulted from this is modern and stylish, with a bright and open interior, has a sustainable construction and is furnished with eco-friendly pieces. 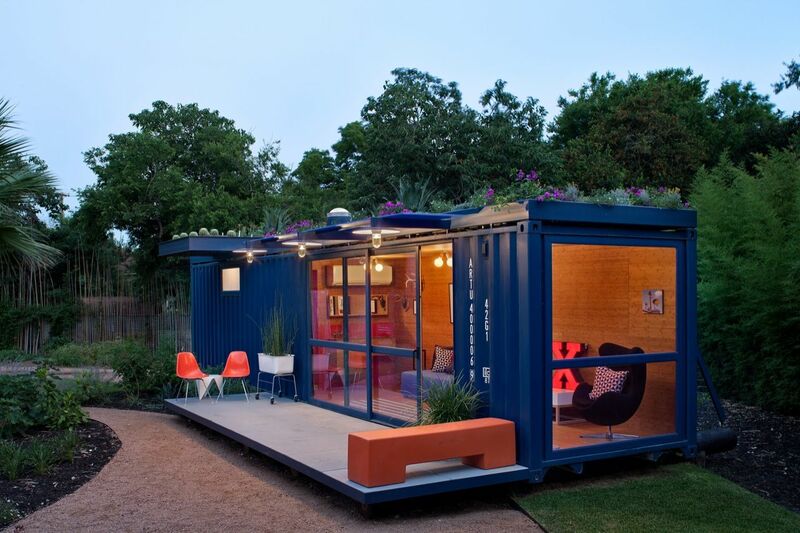 Further more, it can be transported to just about any site. 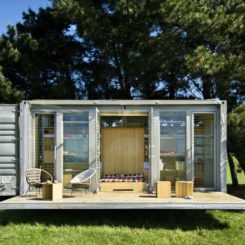 The project promotes environmental design in general but also aims to respond to the specific needs of the modern day nomad. 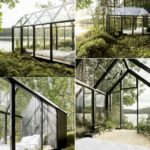 There are numerous possible uses for such a structure. 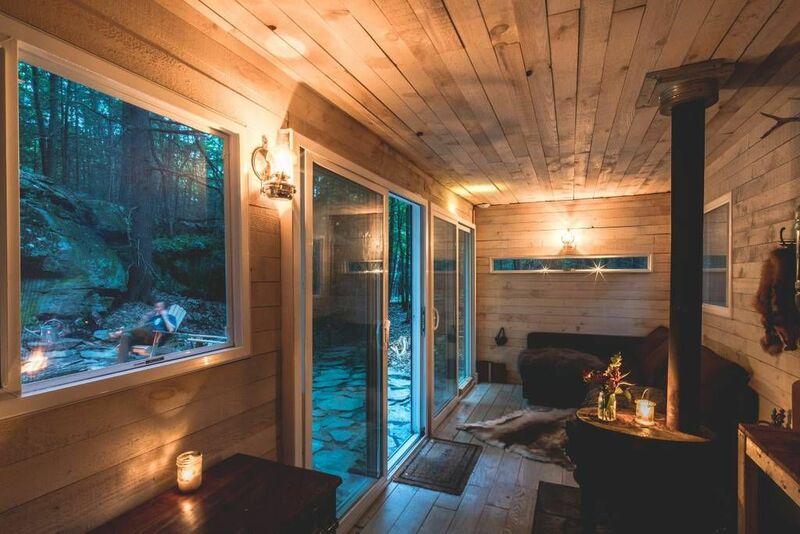 Inside there’s a bathroom, a social area with sliding glass doors and a sleeping area. 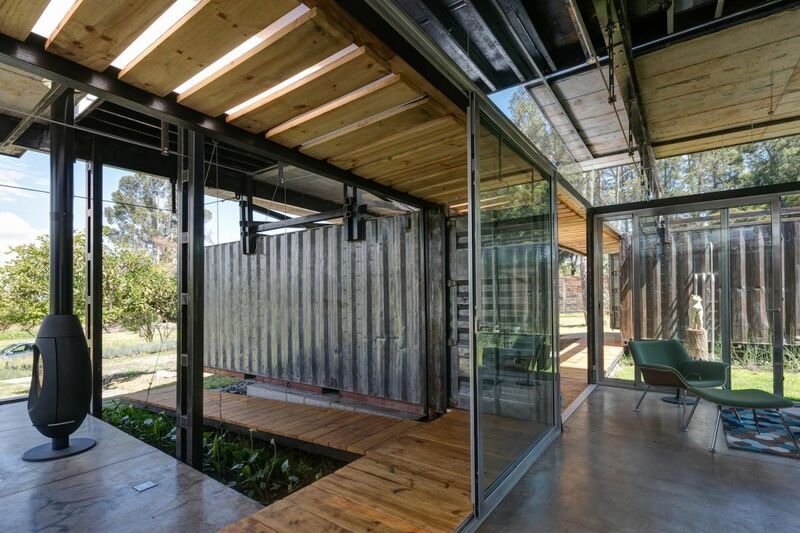 The Container Guest house is exactly what the name of the project suggests. 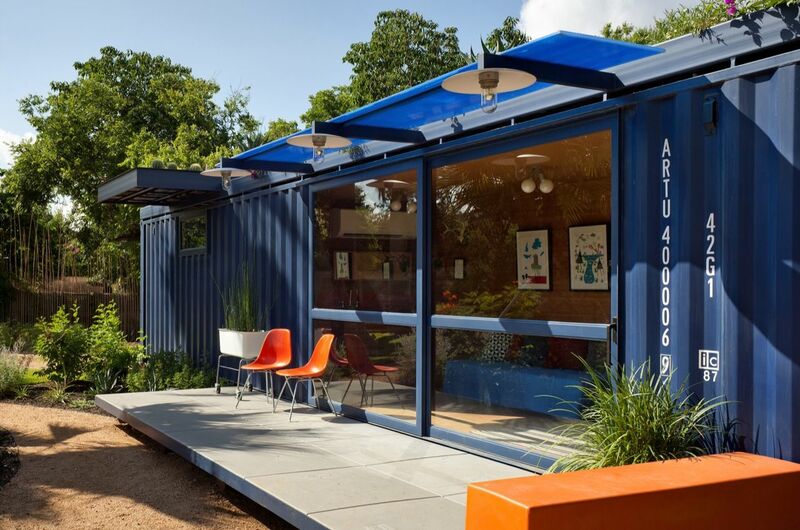 It was designed and built by Poteet Architects for a client who lived in San Antonio, US, in a house situated on a former industrial site. 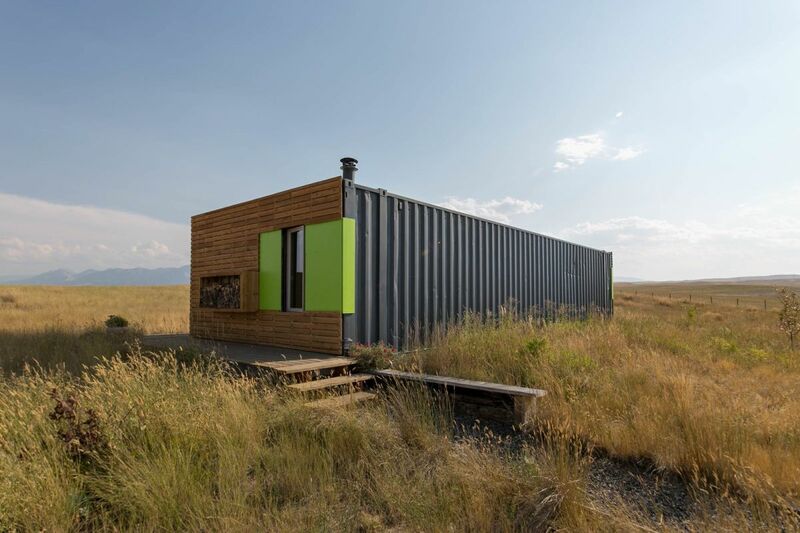 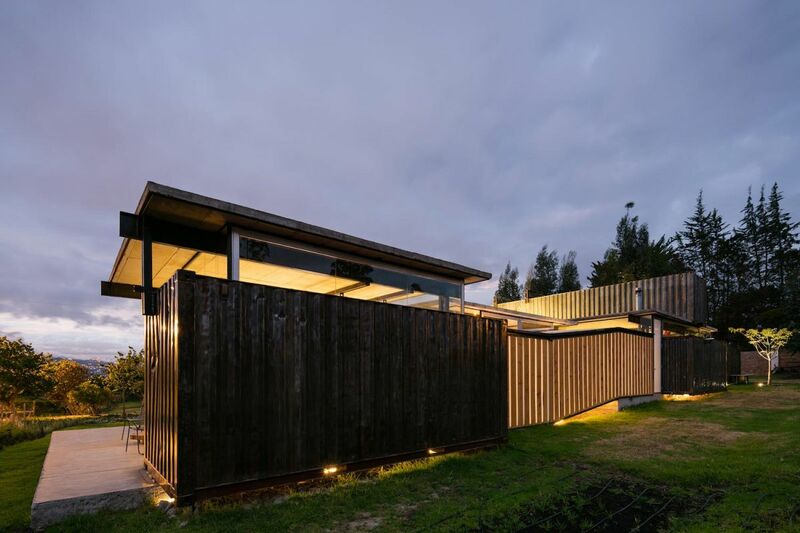 The client was curious and excited about experimenting with shipping containers so the architects tried to keep the design of this new guest house as authentic as possible. 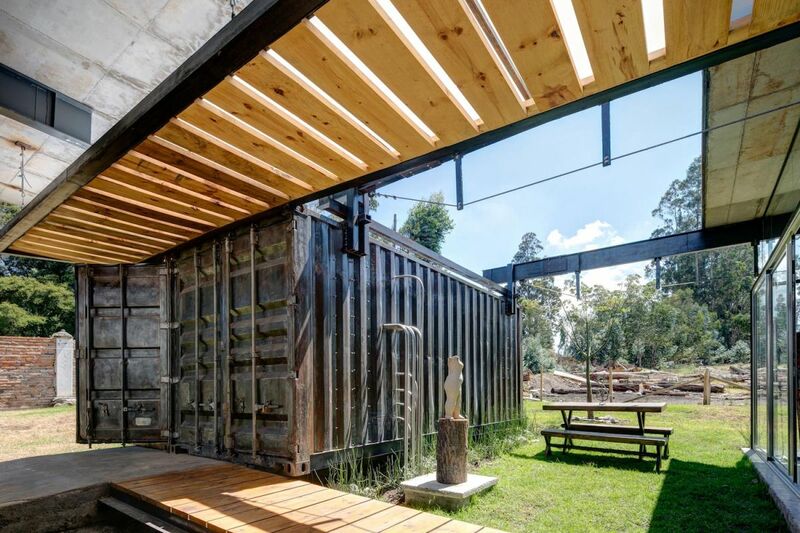 One of the main goals of the project was to build a sustainable structure which is why the client chose to recycle a container in the first place. 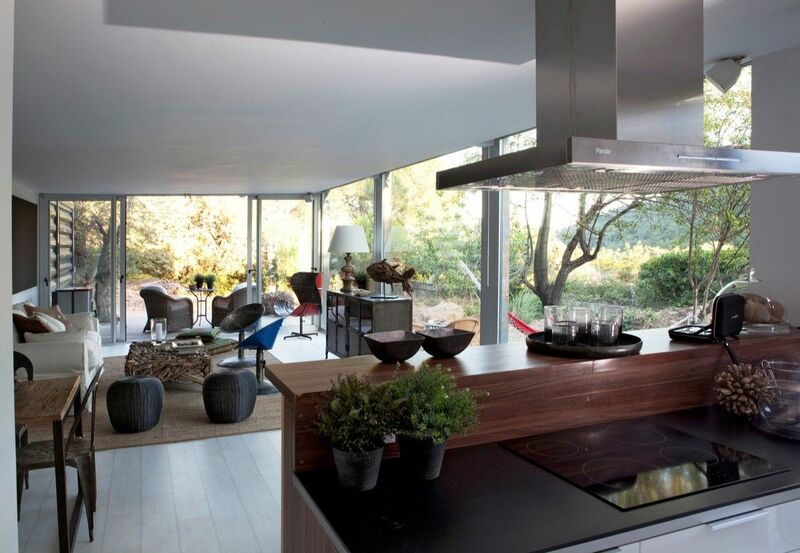 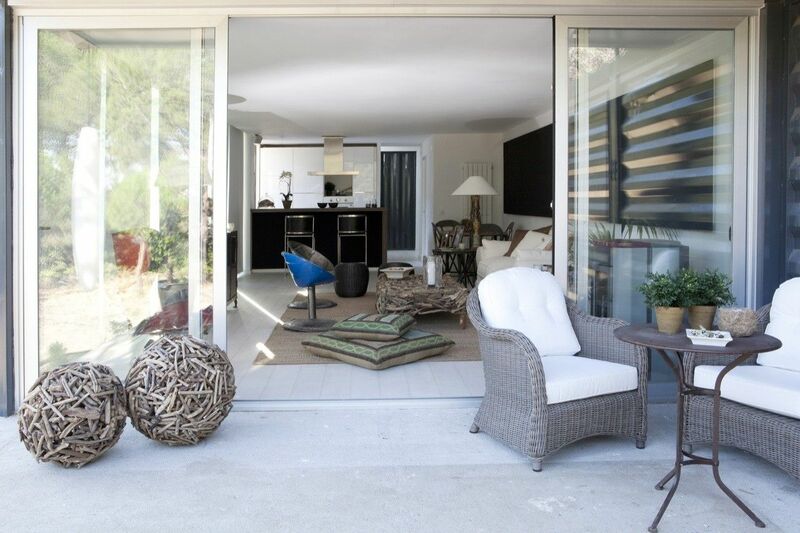 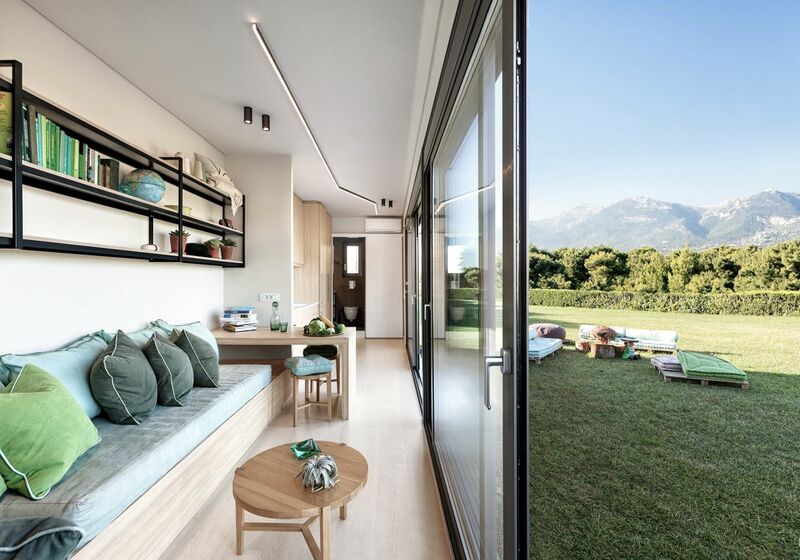 The transformation is spectacular.The guest house has large windows and sliding glass doors which ensure a close connection between the interior space and the immediate surroundings, in this case the garden. 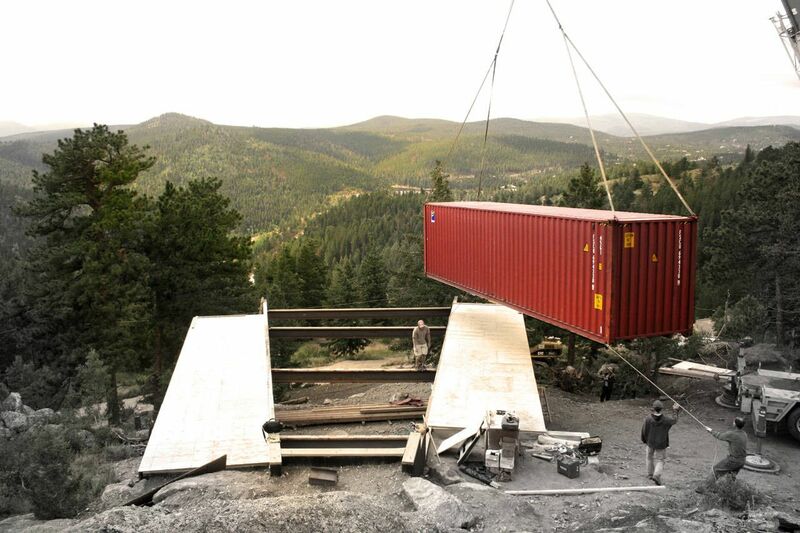 A deck acts as a connector between these two areas. 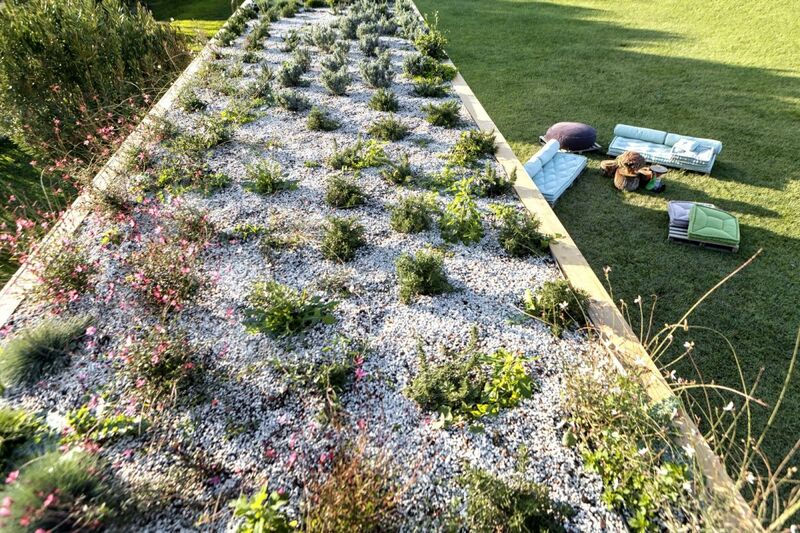 The green roof is a really cool feature. 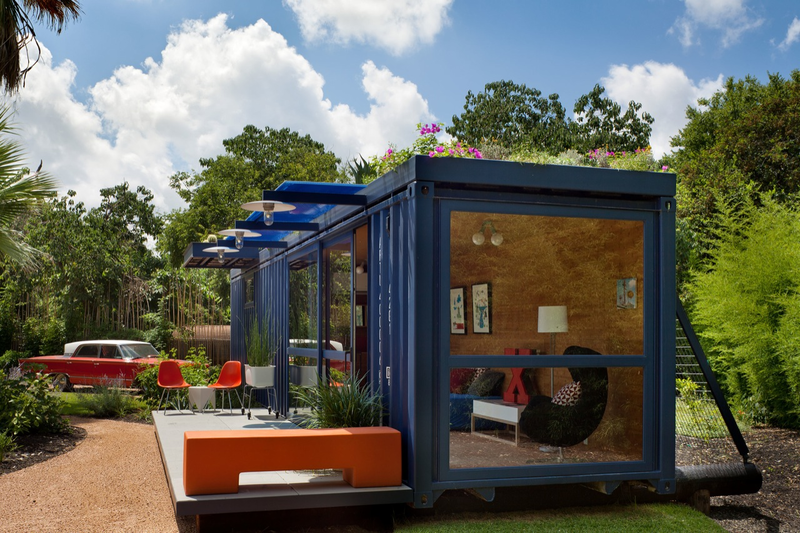 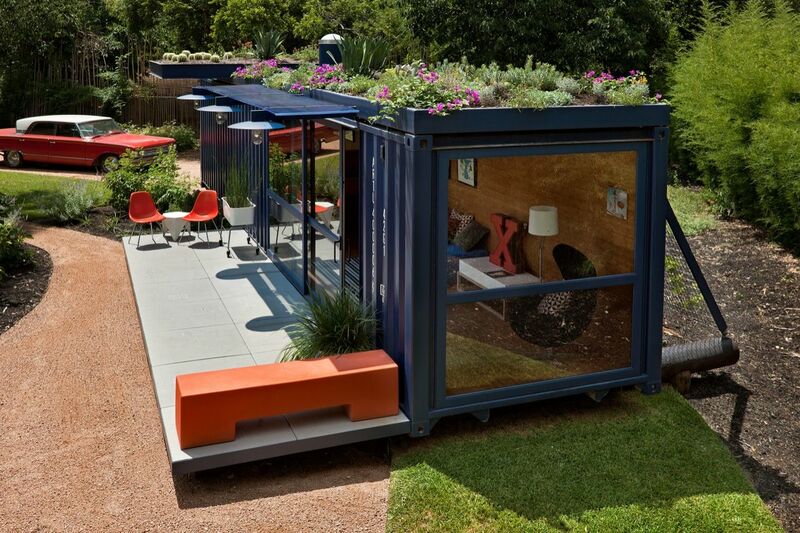 It helps this shipping container module to blend in with its lush surroundings. 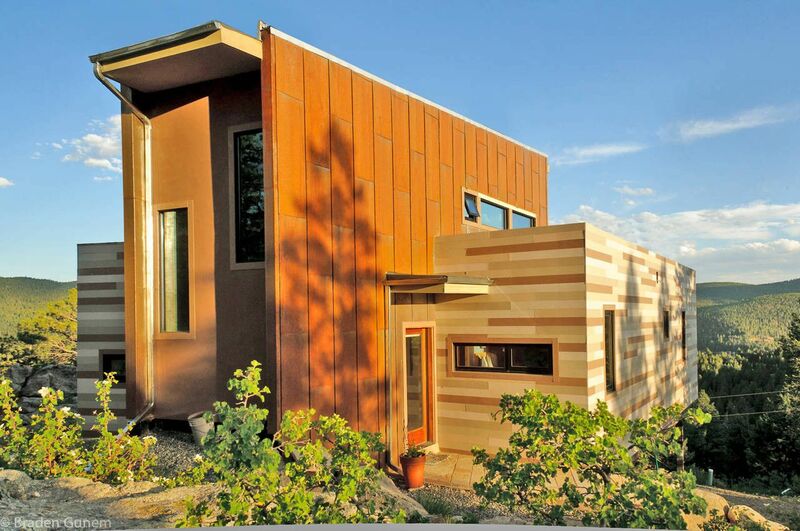 Another nice design feature is the spray foam insulation lined with bamboo plywood. 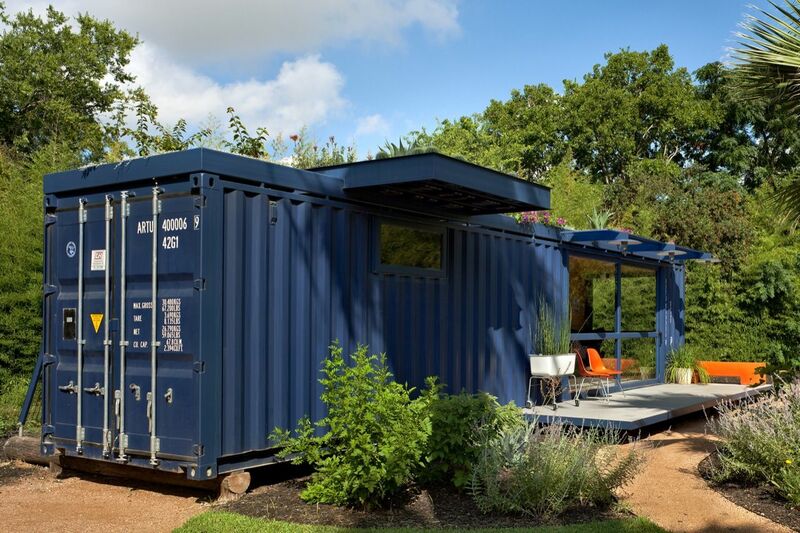 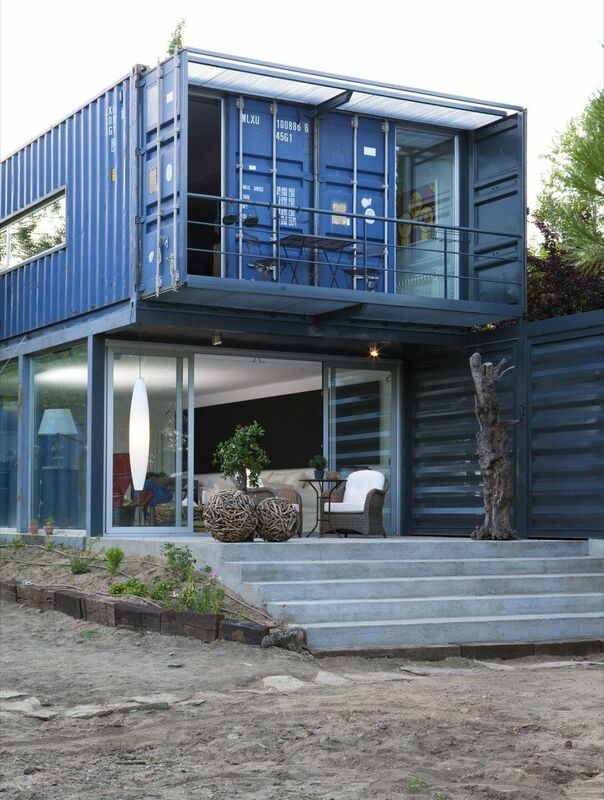 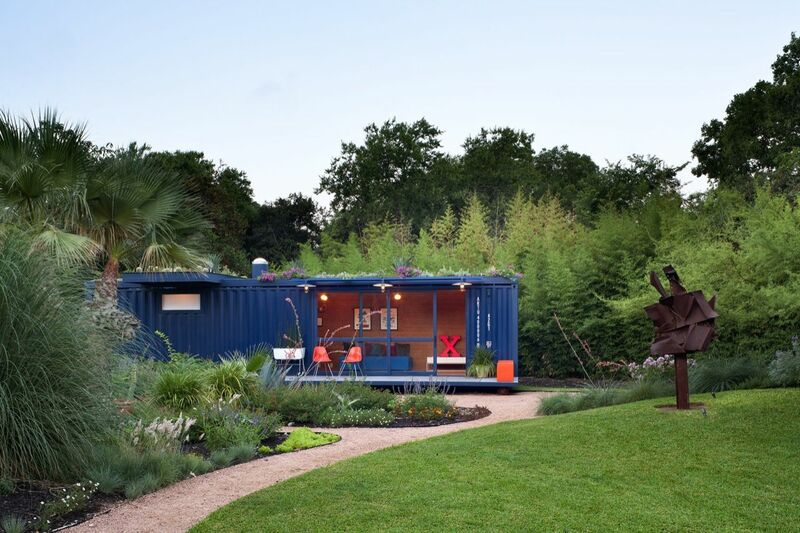 Moreover, we love the fact that the container has this steely blue exterior which helps it maintain its industrial appearance. 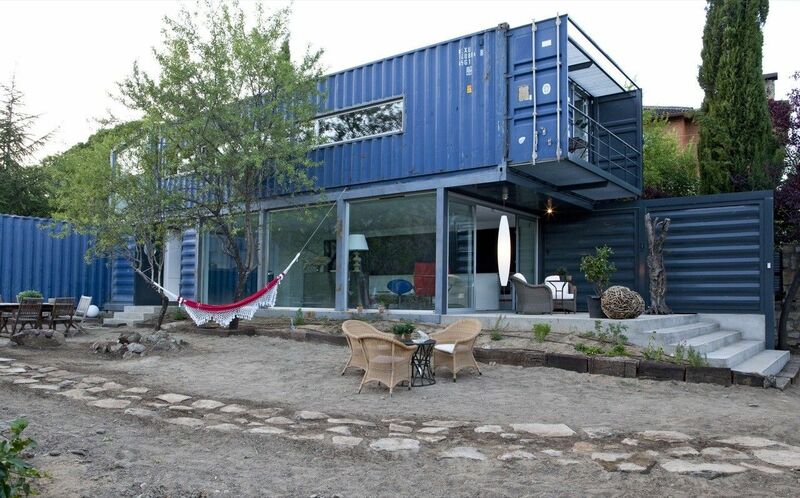 Of course, you don’t have to limit yourself to only one container. 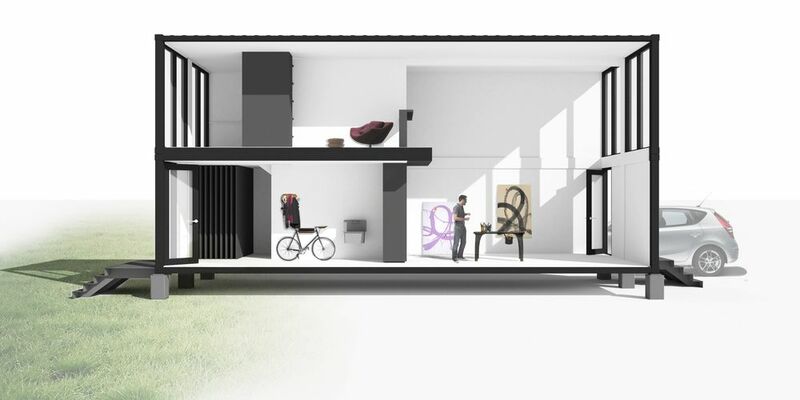 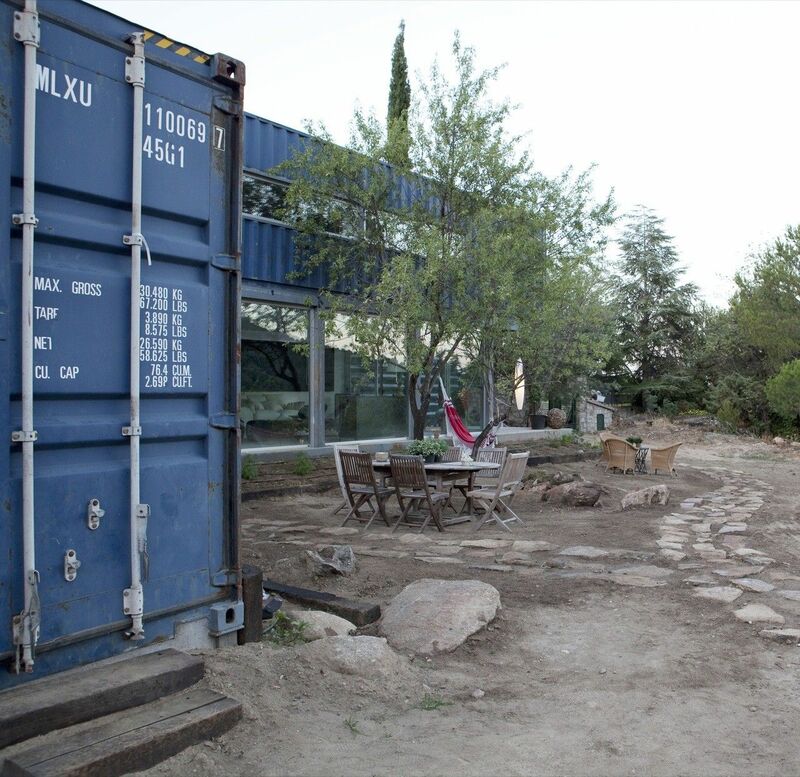 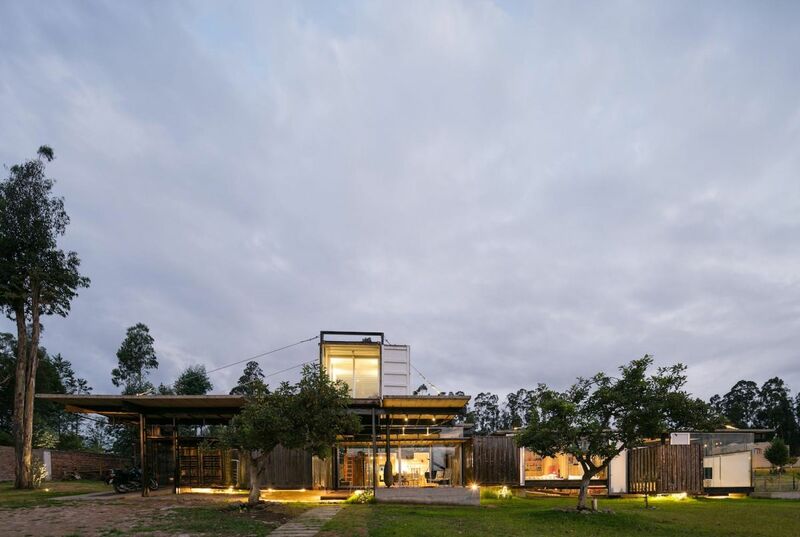 The RDP House which was designed by architect Daniel Moreno Flores in collaboration with Sebastian Calero is definitely quite complex for a shipping container home. 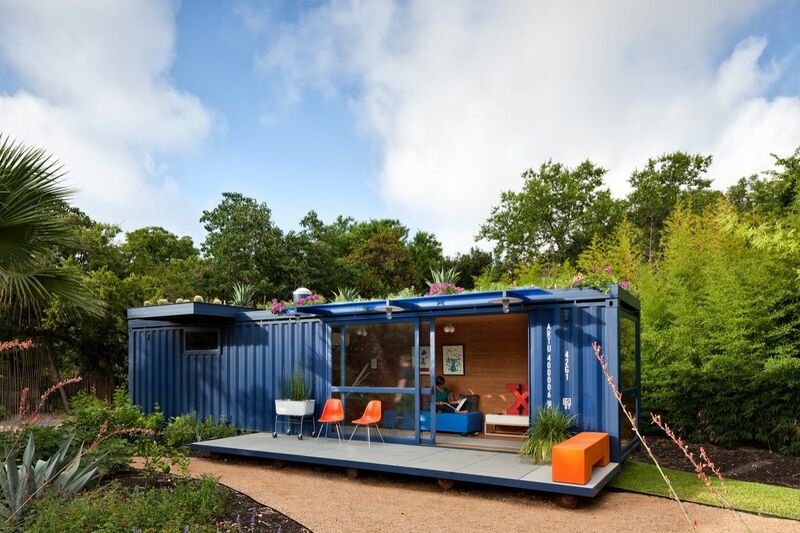 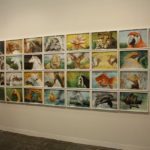 It was built out of seven 20-foot containers plus one 40-foot container. 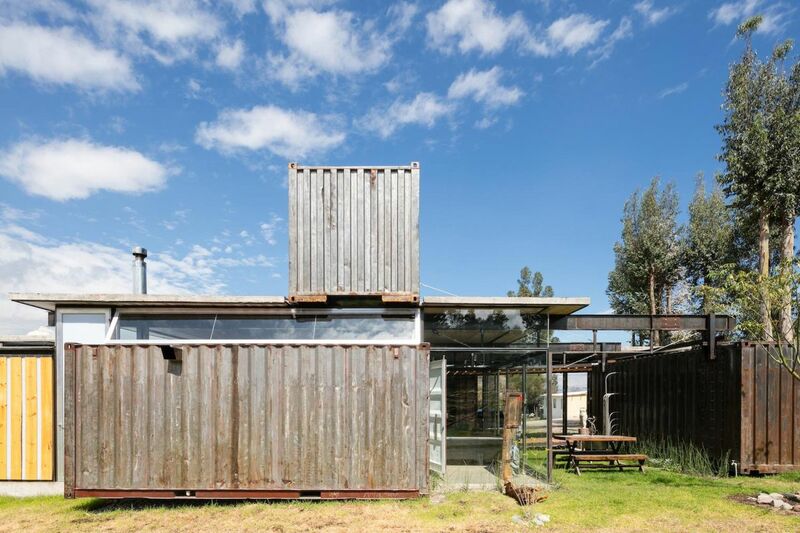 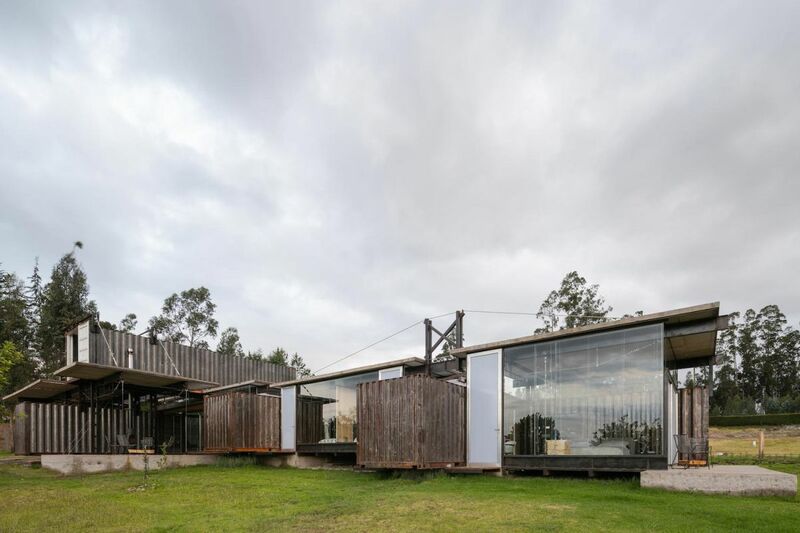 The architects and their clients agreed to preserve the worn and weathered appearance of the containers in order to simplify the design and to give the house an industrial appearance. 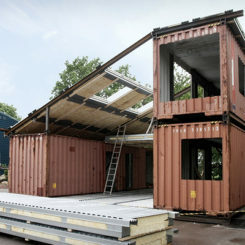 The project was quite complex but still easier and quicker than building a traditional house. 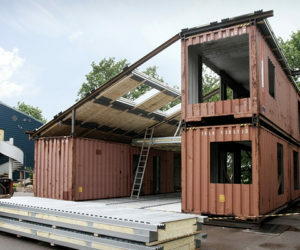 There were four construction phases in total. 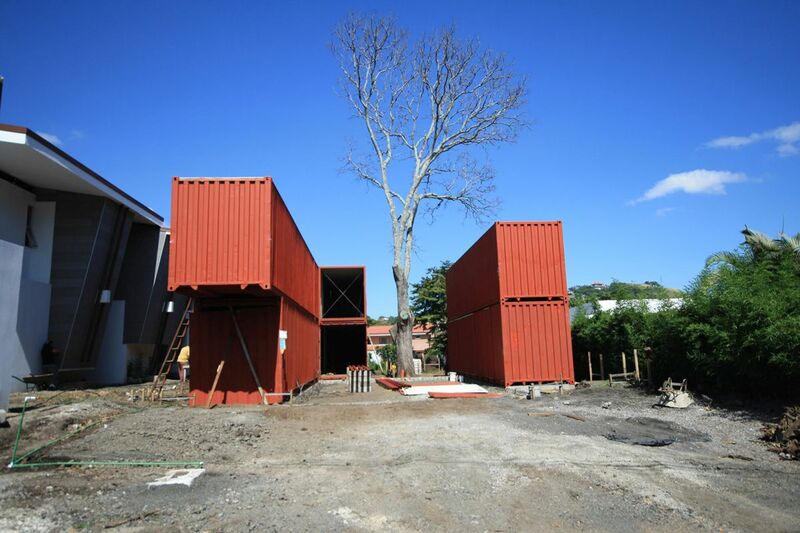 First the concrete foundations were poured and then the shipping containers were positioned. 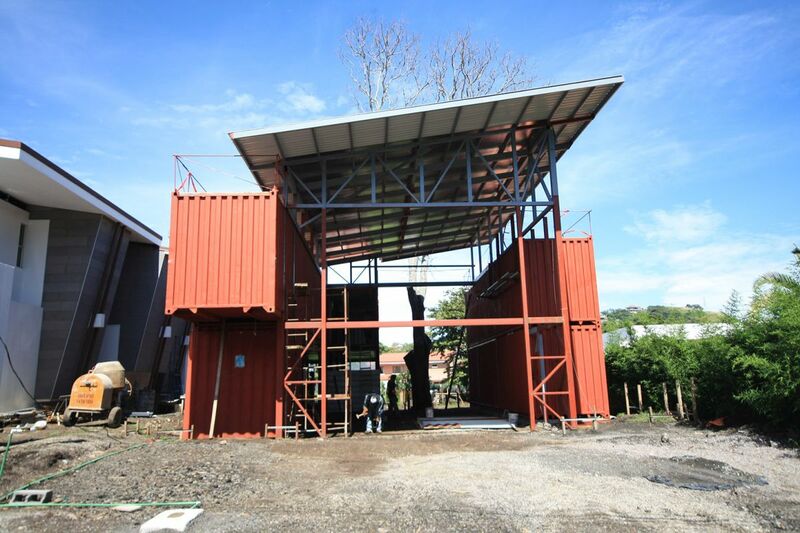 the third phase involved installing steal beams between the containers which were meant to support the roof system. 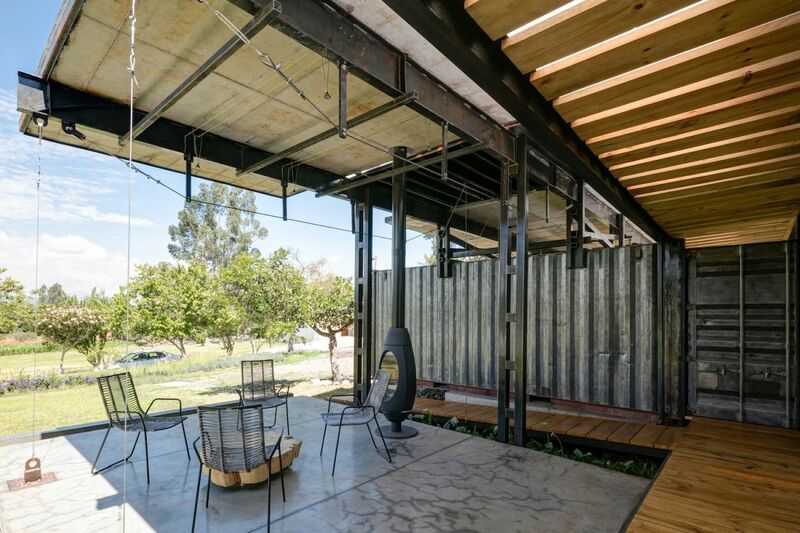 Finally, a series of pulleys and tensile cables were installed and their role was to support the secondary roof systems and the glass walls which connect the containers. 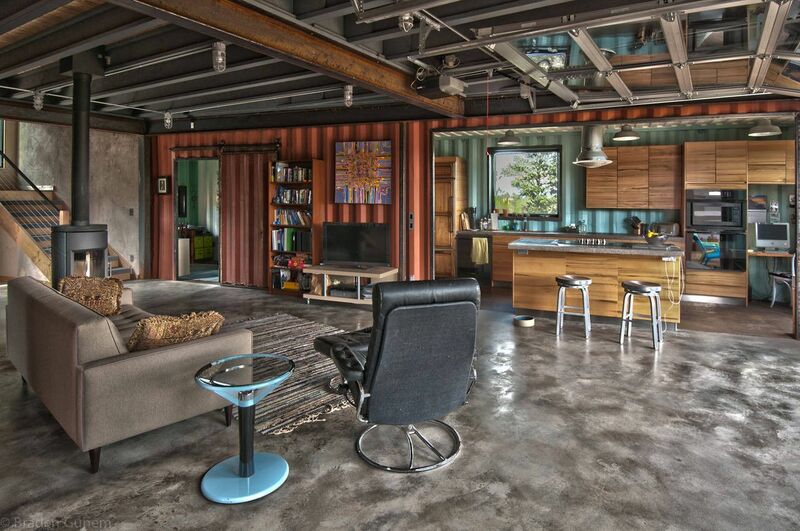 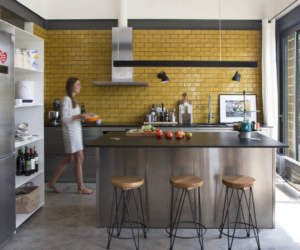 So you see, container home floor plans and everything related can be complex too. 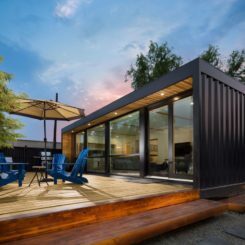 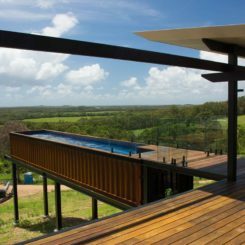 Living off the grid doesn’t have to mean a lack of style or comfort and one of the greatest things about shipping container homes is that they facilitate and encourage the idea of having the freedom to live anywhere and being able to do it in style. 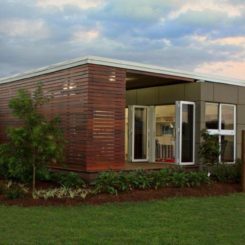 Architect and builder TY Kelley built his own container home and did a wonderful job at making it look sleek and modern. 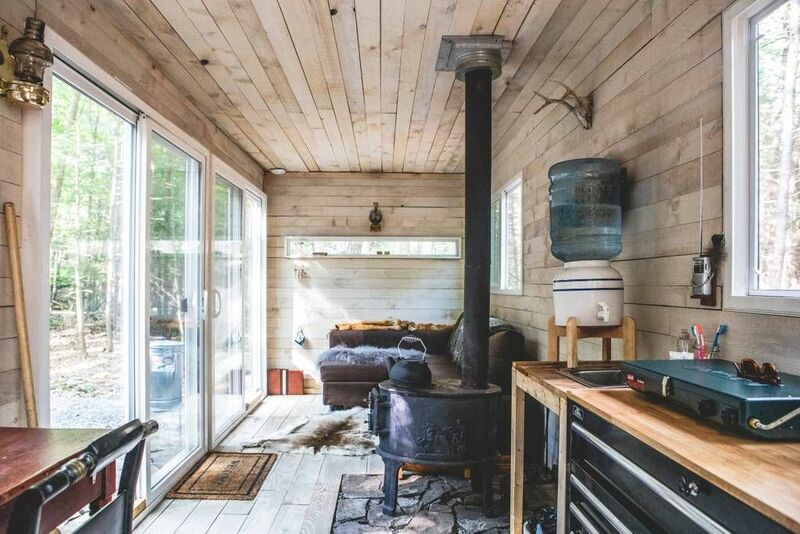 The house is pretty small but has a lot of character. 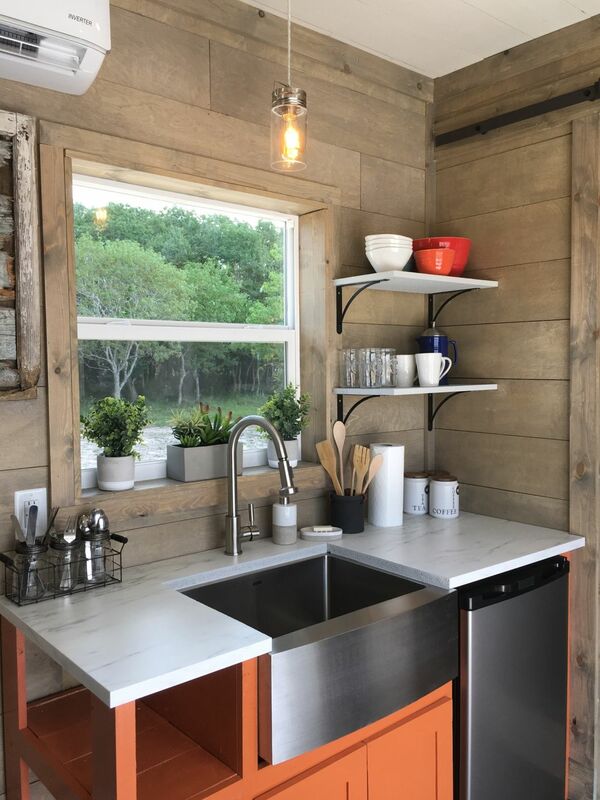 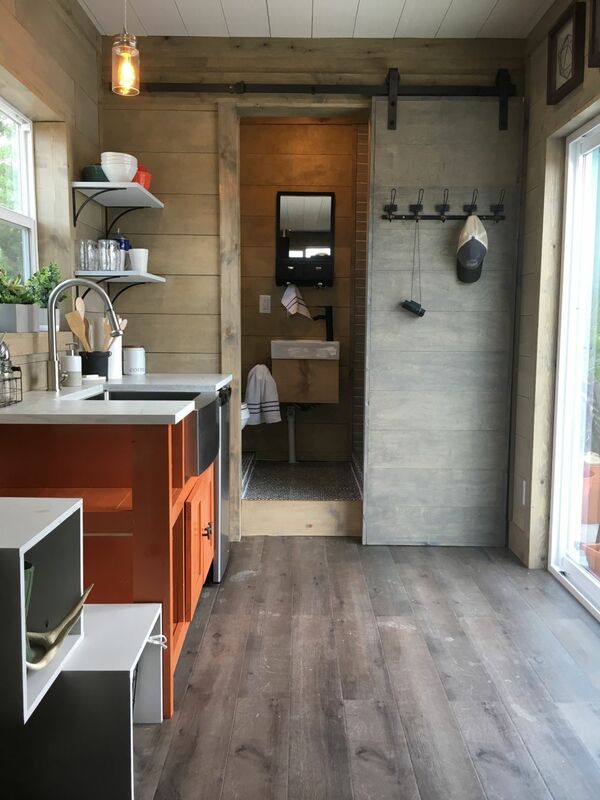 It has a one-bedroom, one-bathroom floor plan, it has a glazed back facade and it has a lot of handmade features and cool details in its design, including an outdoor shower, a wood stove and a vibrant color palette. 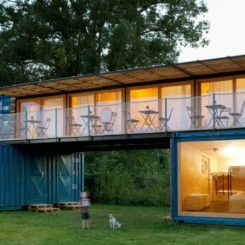 When you have this freedom to actually get involved in the design of your shipping container floor plan and to basically place the structure anywhere you want, you can get pretty creative with the details. 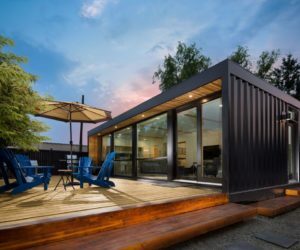 For example, Backcountry Containers designed this really cool shipping container home which can also be used as a workshop and which has a small roof terrace with a really tiny gold course on it. 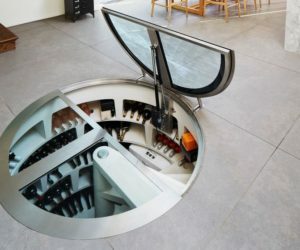 Of course, there’s a lot more to it. 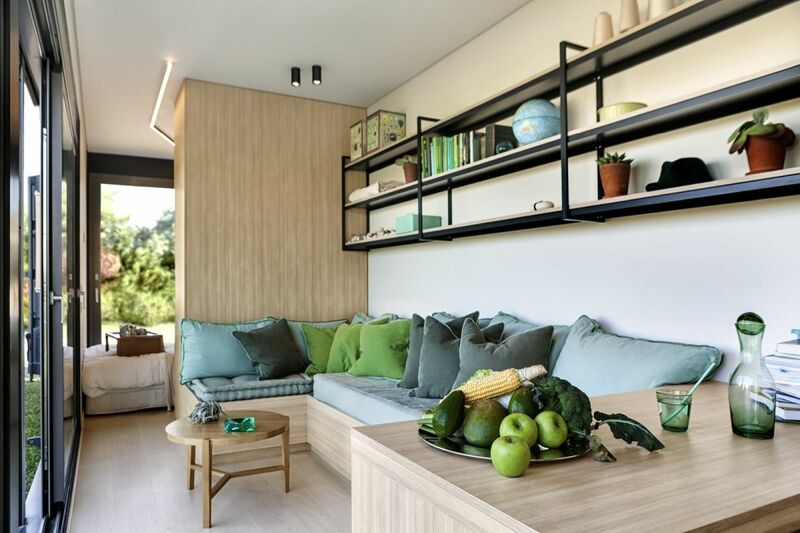 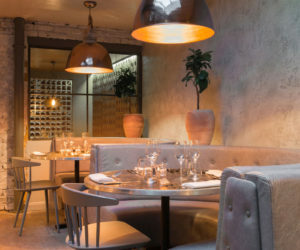 The interior is planned in a way that maximizes the space and allows a lot of functions and features to be packed in a very small area. 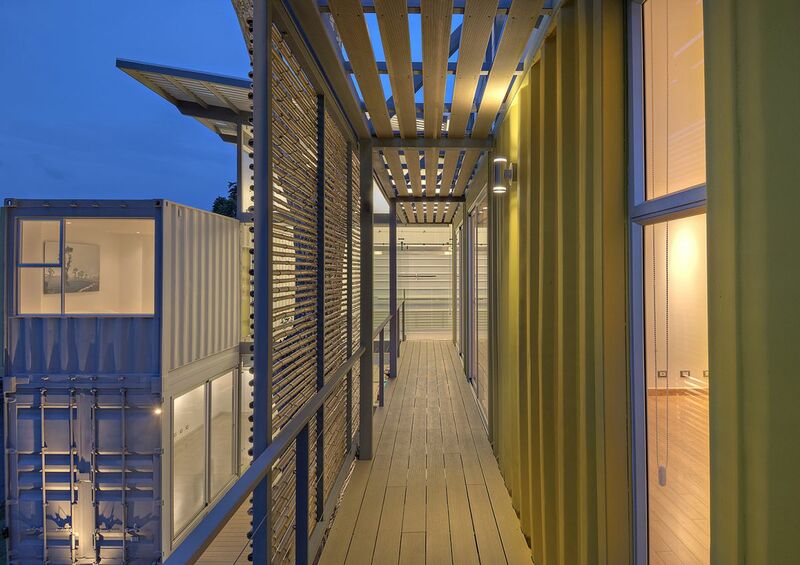 The first prototype of the container house designed by MB Architecture was completed in 2009. 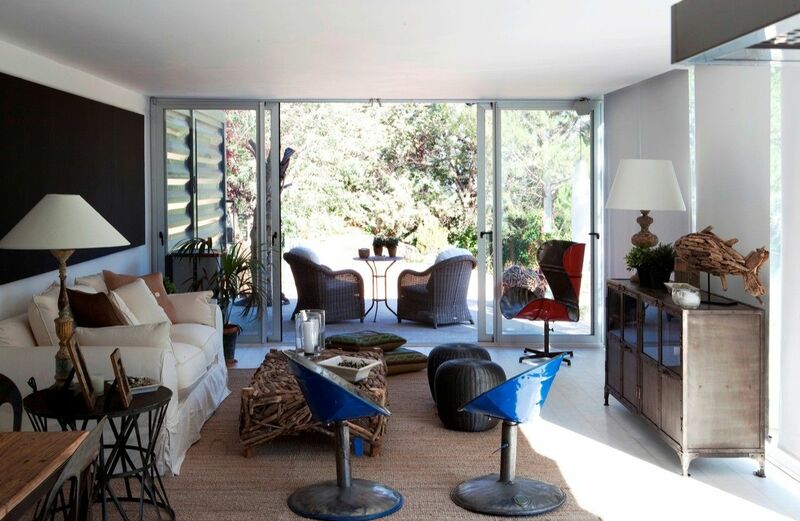 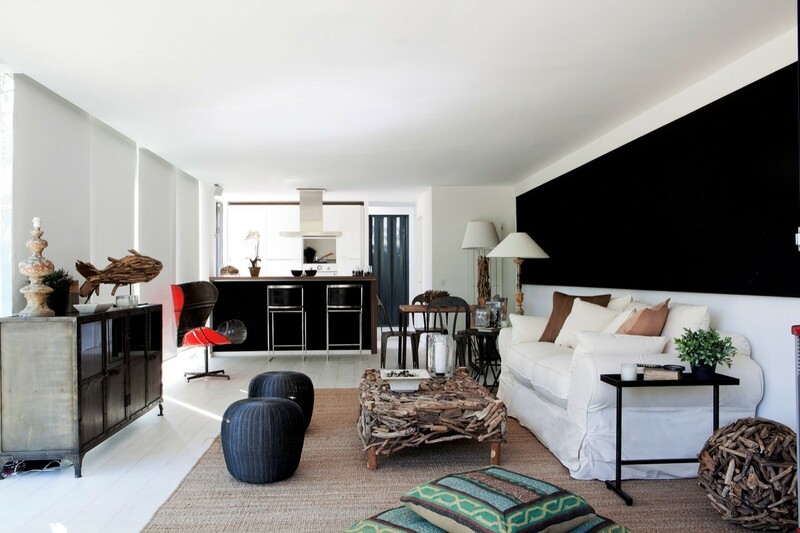 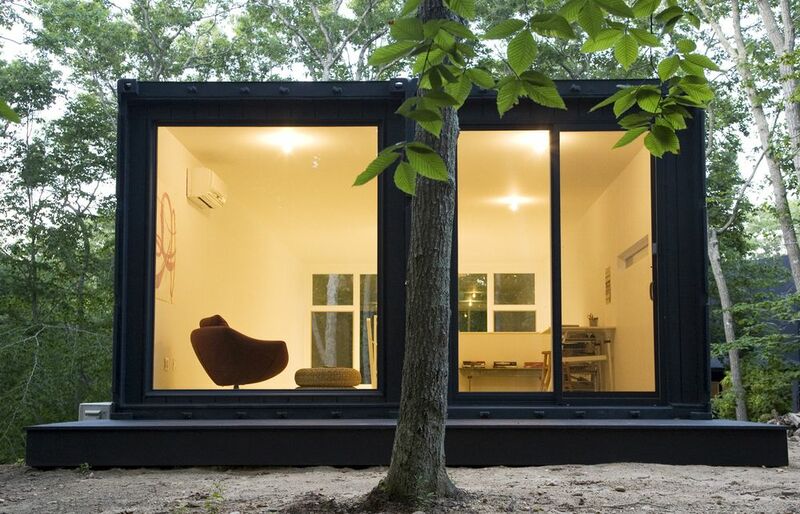 It was an artist’s studio located in Amagansett, New York. 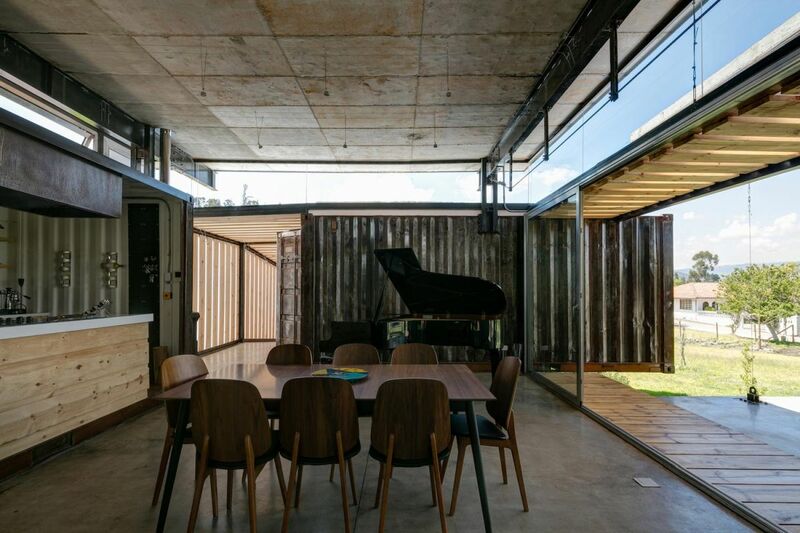 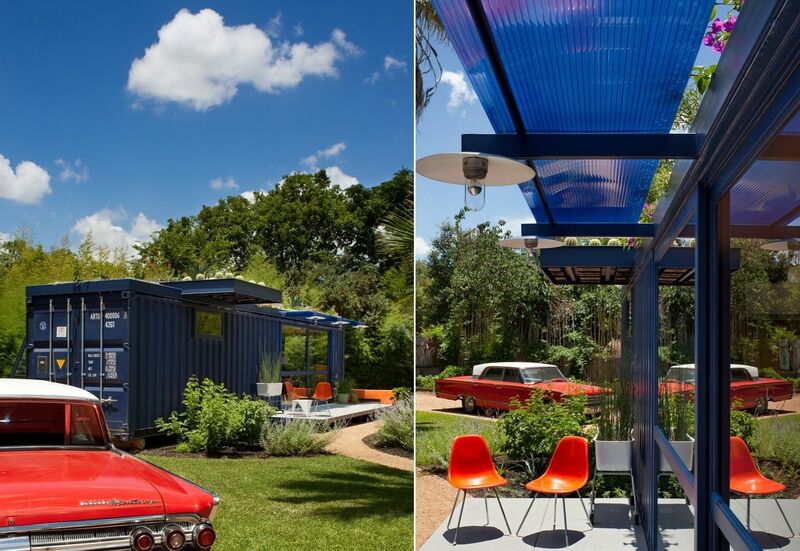 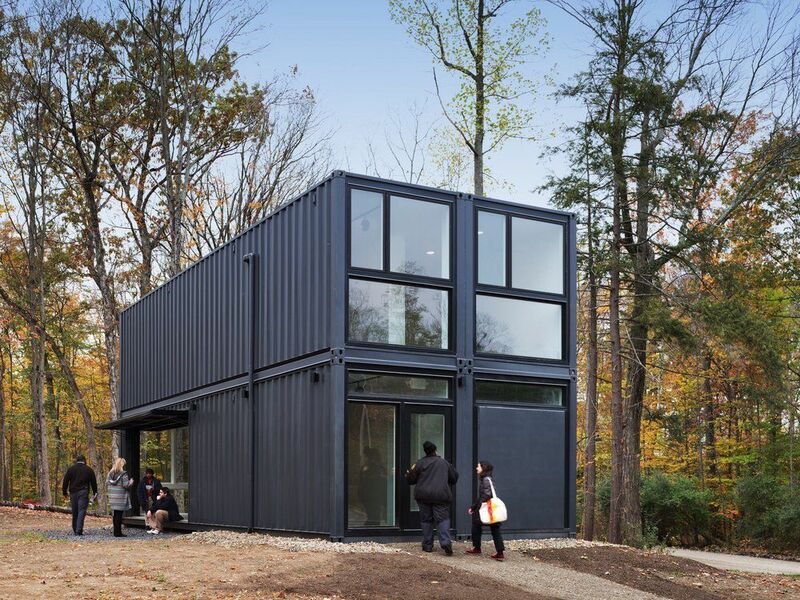 The studio was built out of four shipping containers and was called the Insta_House. 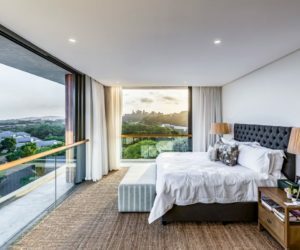 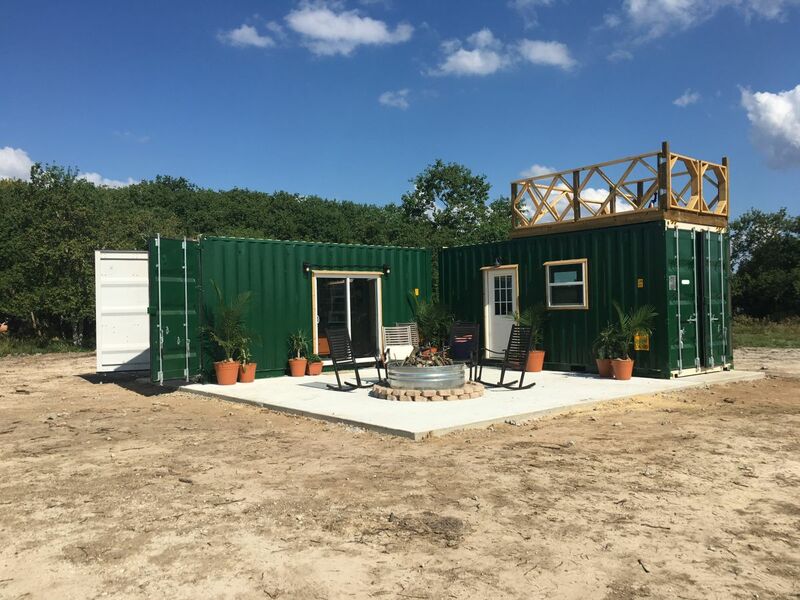 It has two bedrooms, two bathrooms, a full kitchen and a living room and it only took eight weeks to fabricate the whole structure and another day to install it on site. 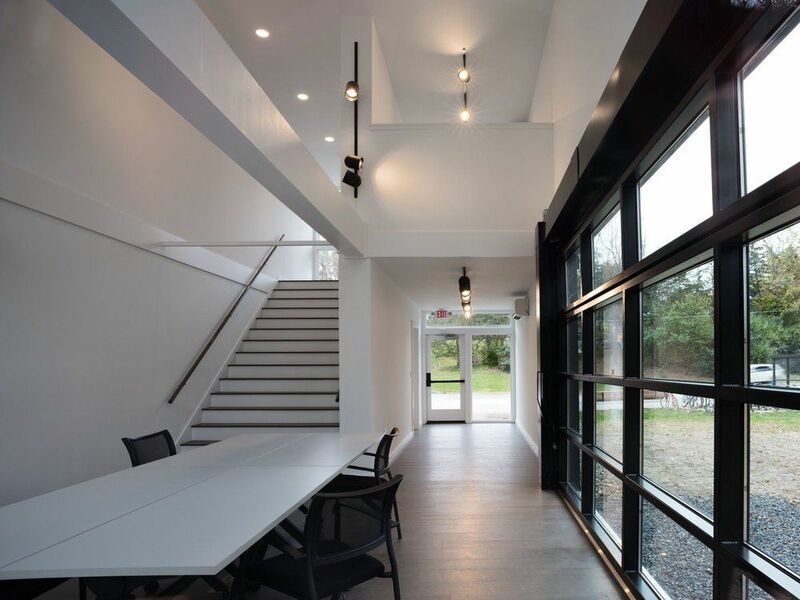 The project received the American Institute of Architects Peconic Chapter Honor Award for Architecture. Now structures just like this one can be purchased and installed everywhere in the US. 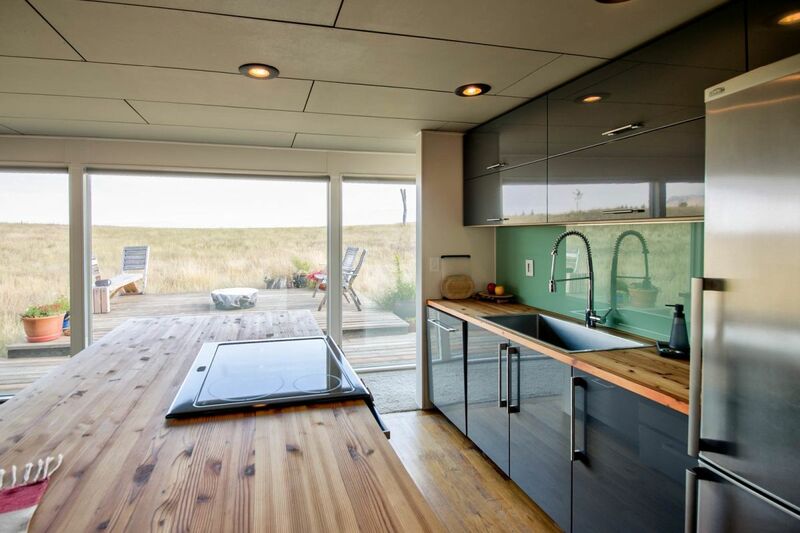 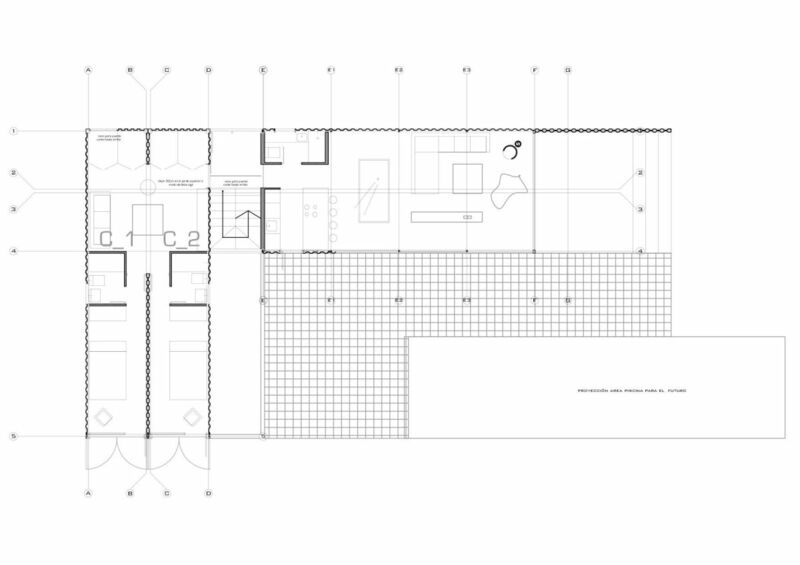 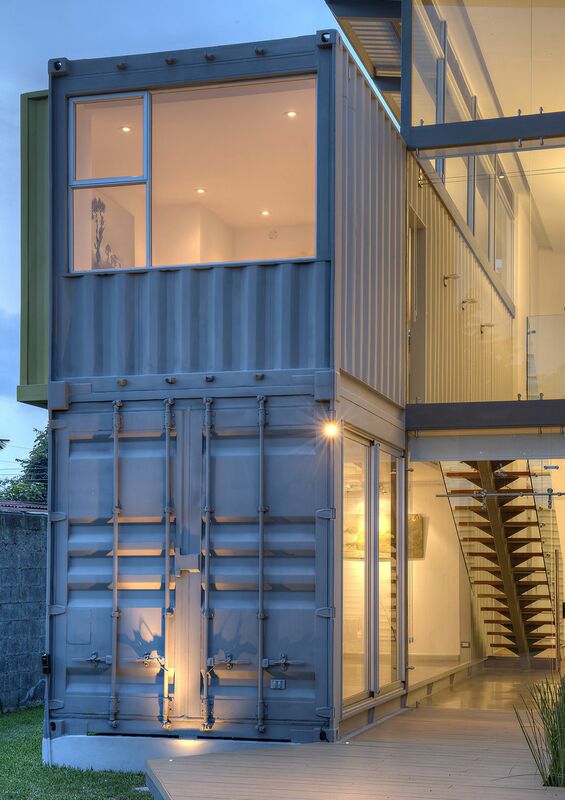 In 2010 James & Mau completed a shipping container house with a 190 square meter L-shaped floor plan. 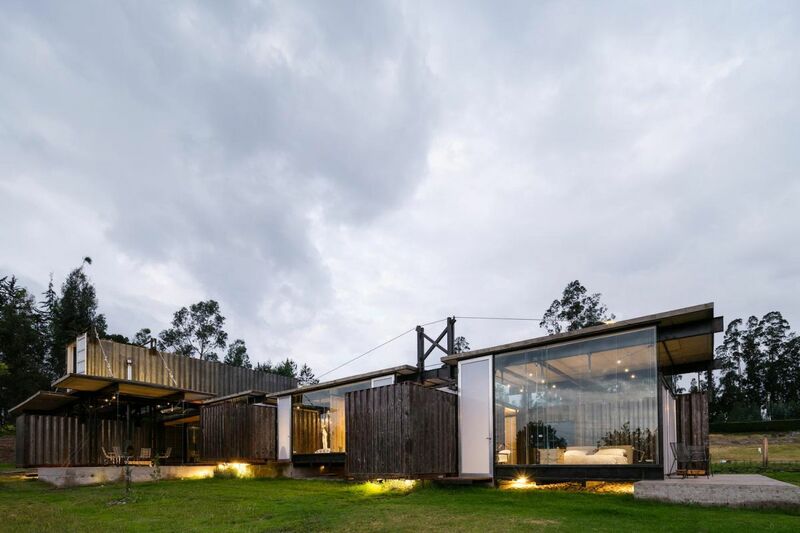 The house is divided into two volumes. 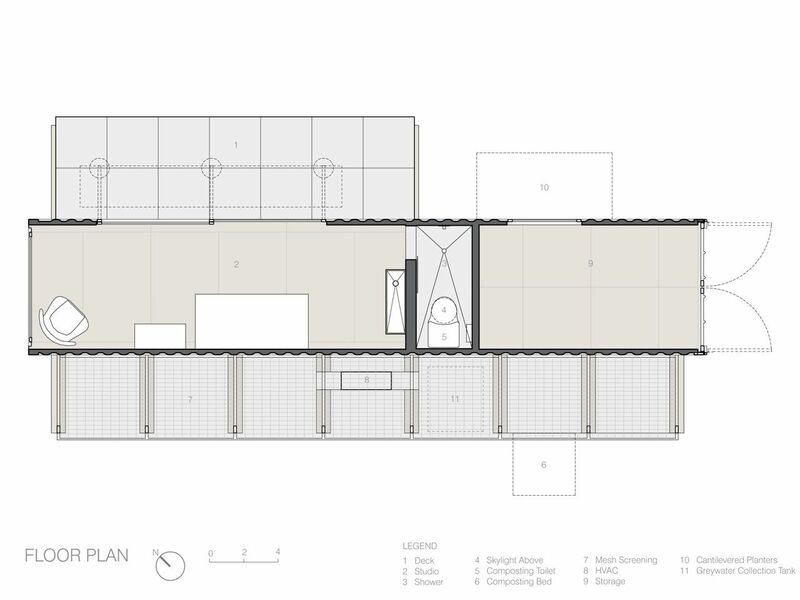 The ground floor houses the living area and open kitchen and the home office and bedroom suite are on the upper level. 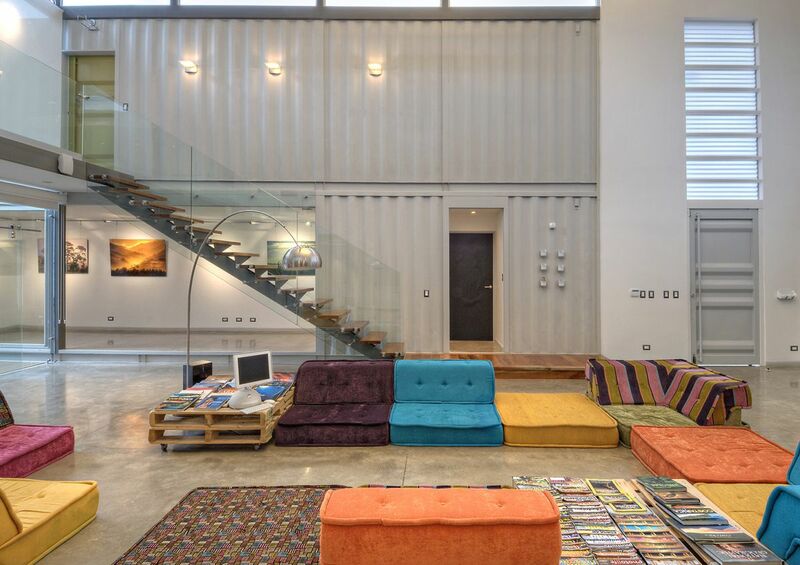 Both volumes are very welcoming and have stylish and modern interior designs and decors. 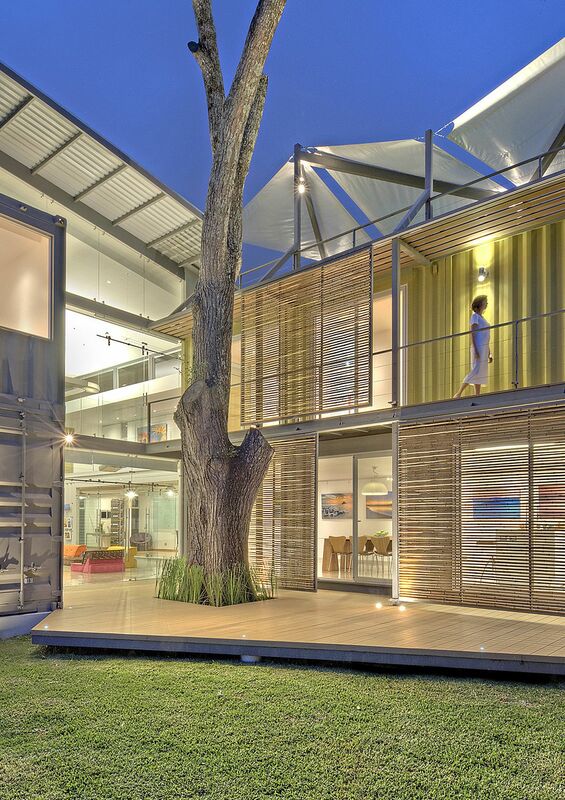 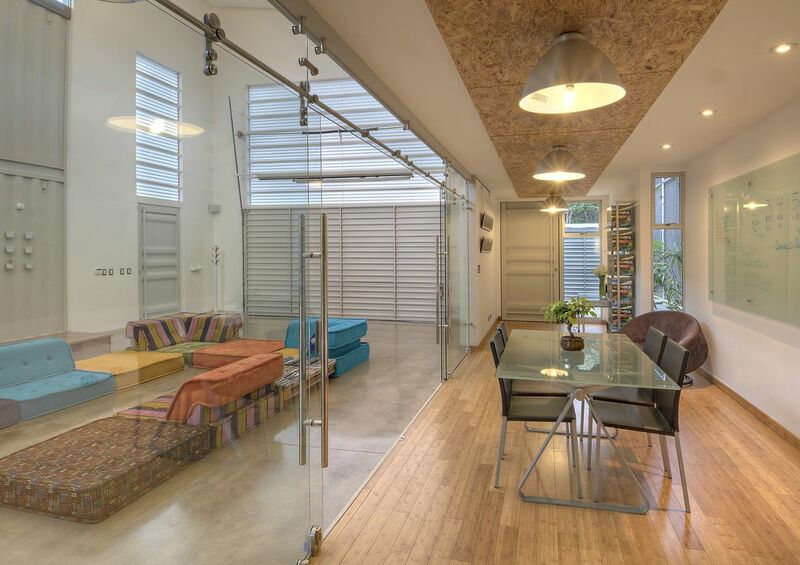 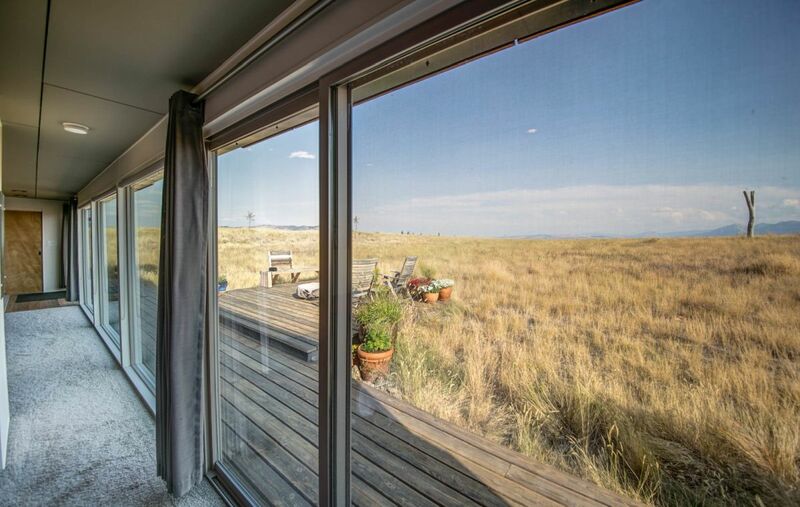 There’s a pretty big contrast between the interior and exterior designs of this container home. 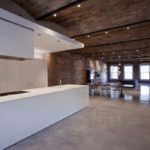 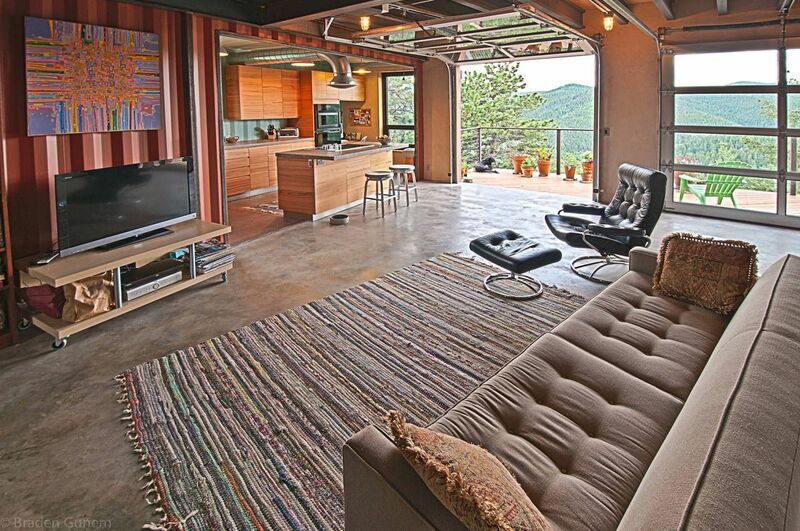 The outside has a strong industrial vibe while the interior doesn’t really suggest this style in any way. 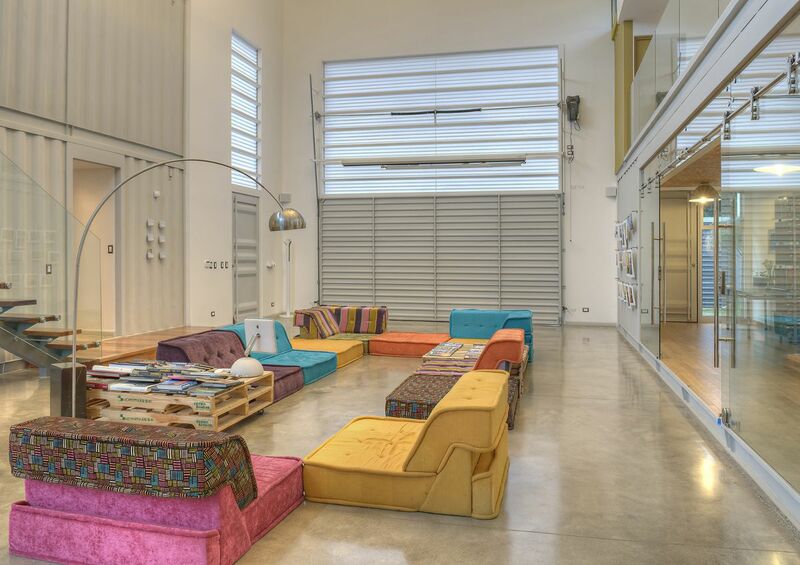 Further more, the chromatic palette is intriguing too. 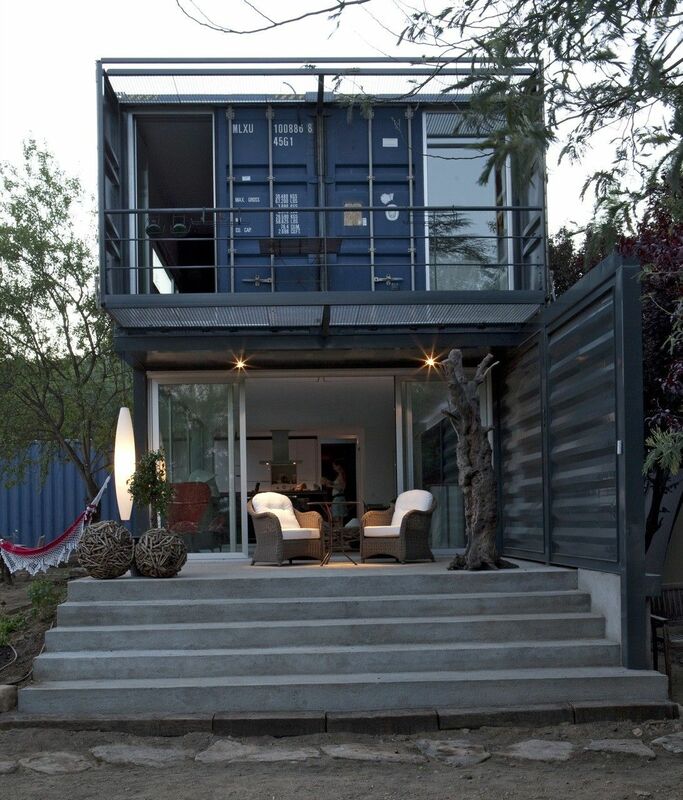 The exterior of the house is blue and has the typical worn look of shipping containers. 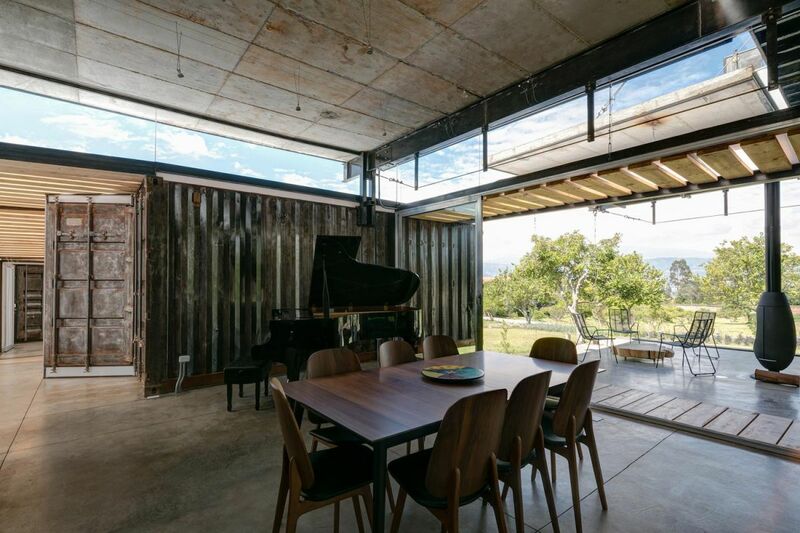 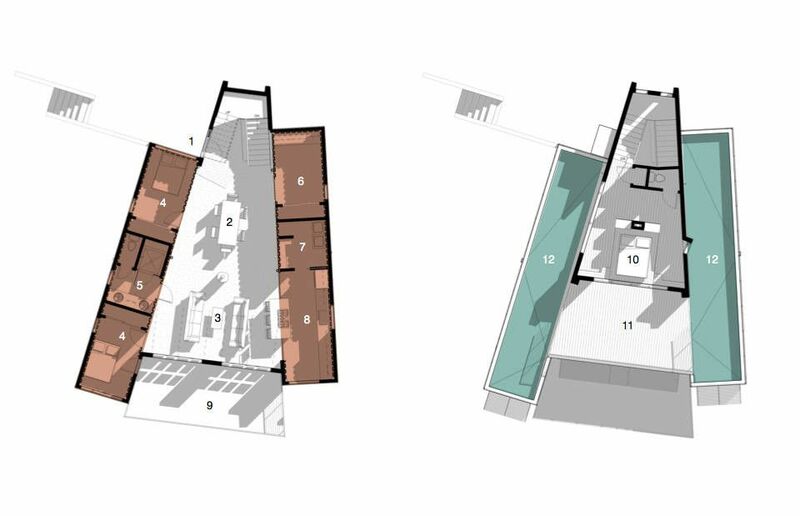 The ground floor volumes has glazed surfaces and is open towards the views and the surroundings and the upper floor is more private and has small and horizontal windows. 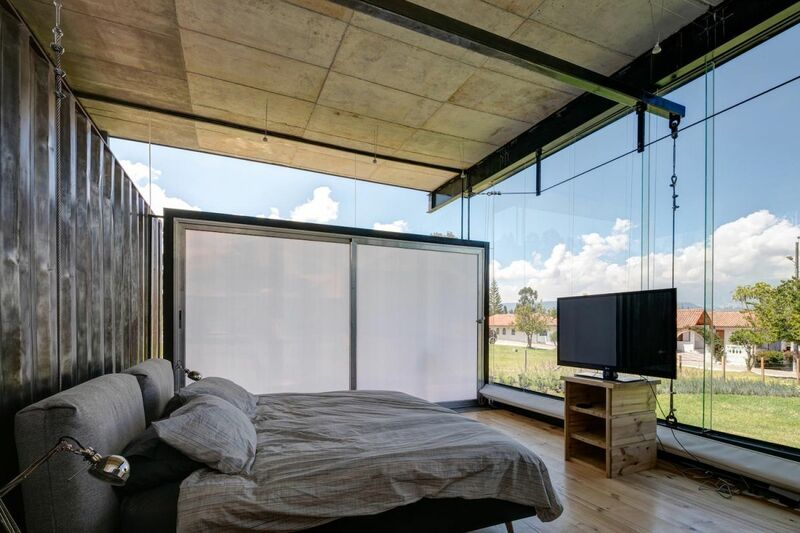 In the case of the project completed by Studio H:T the views are pretty amazing but the house is not too shabby either. 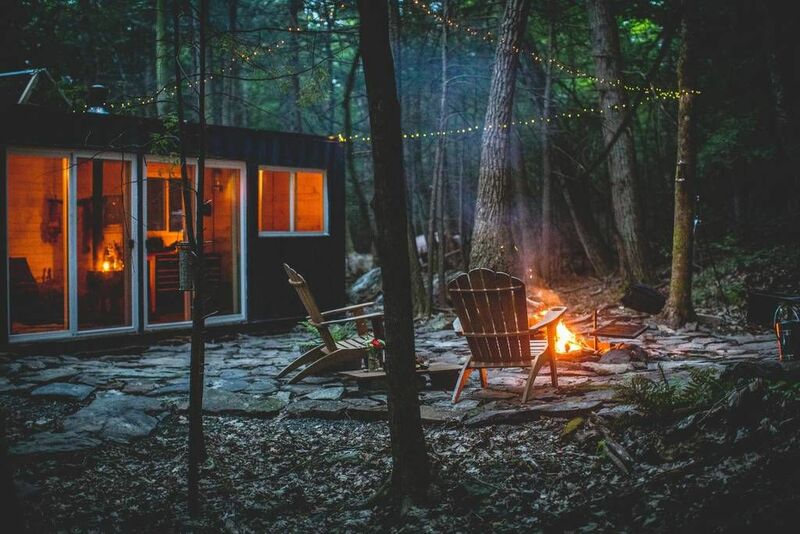 In fact, these elements are in perfect sync and complement each other perfectly. 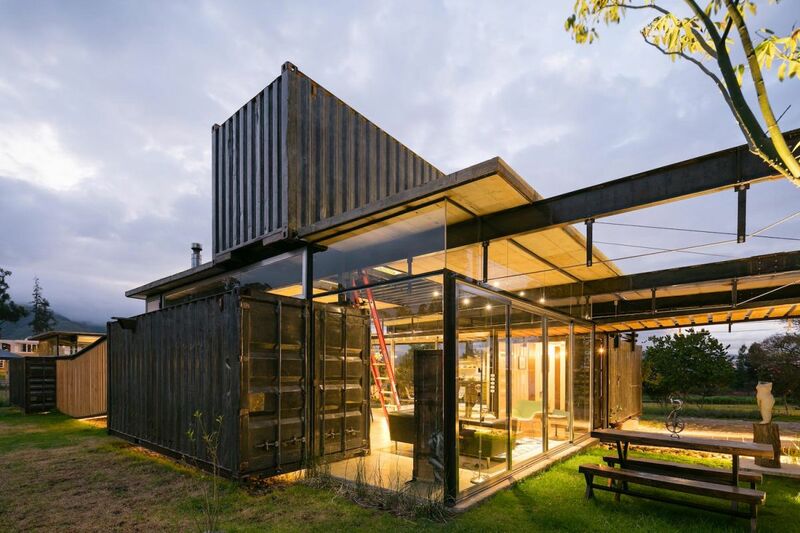 The building features two shipping container volumes, one on each side of a taller volume which houses the common areas plus a loft space above them. 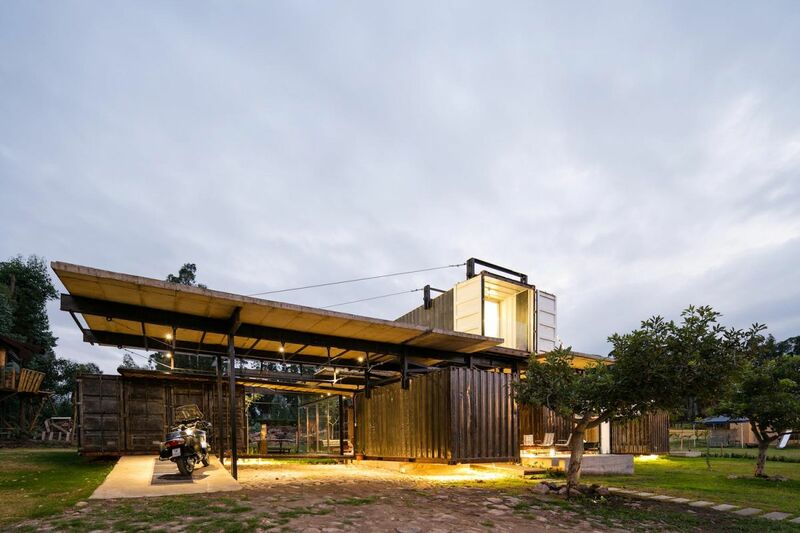 The central volume has solar panels on top which provide electricity, highlighting the eco-friendly and sustainable character of this whole project. 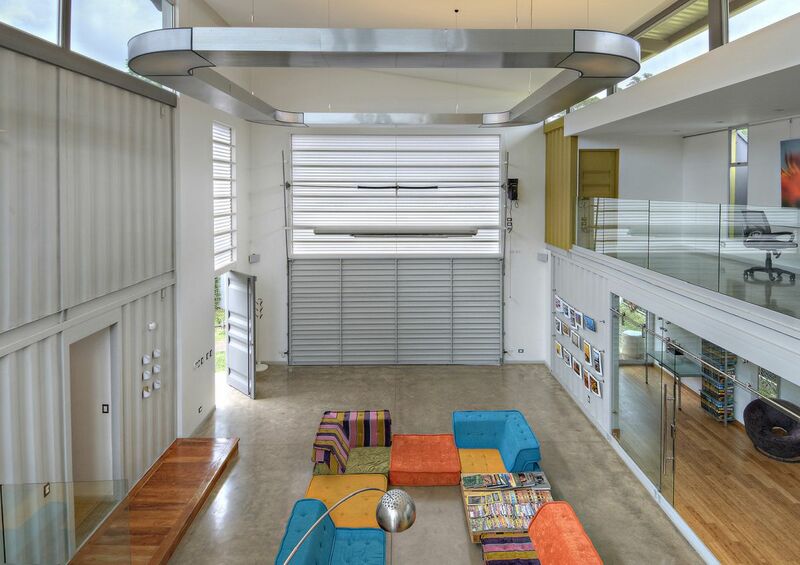 In Escazu, Costa Rica there’s this rather unusual house designed by María José Trejos. 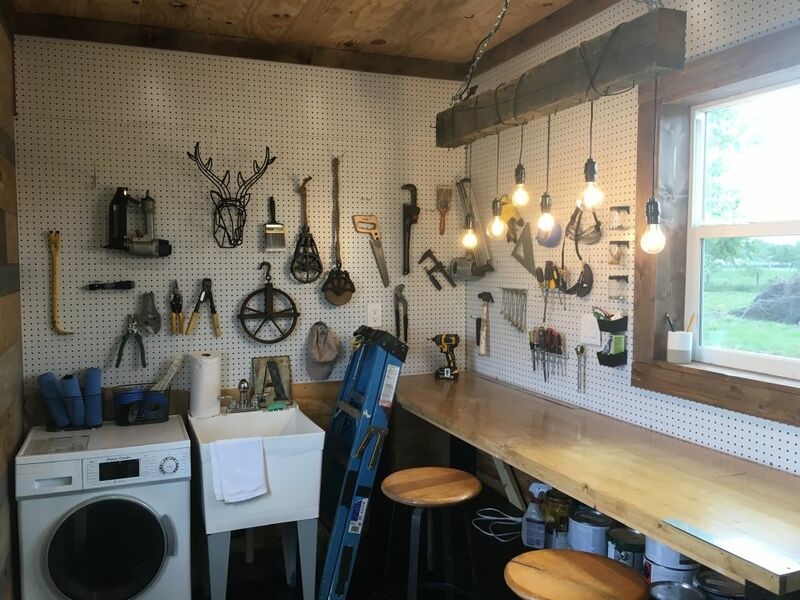 There are several interesting things about this project. 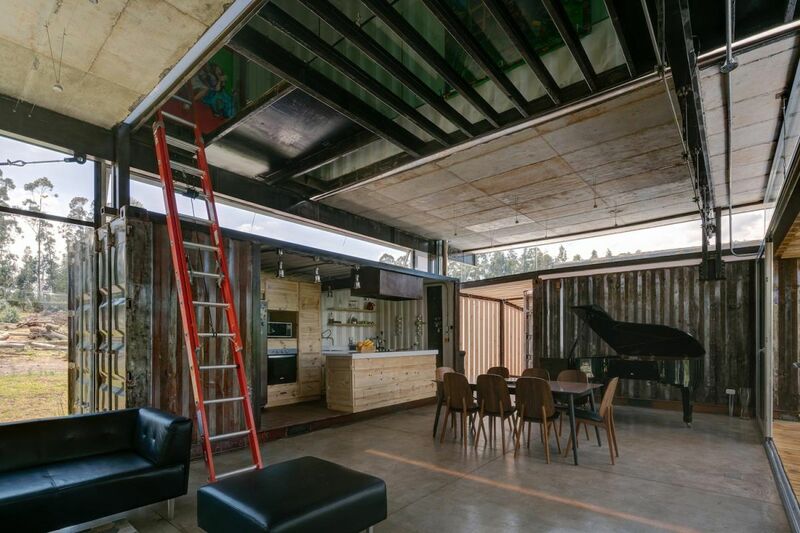 First of all, the house is built out of reclaimed shipping containers but that was easy to assume given the theme of our article. 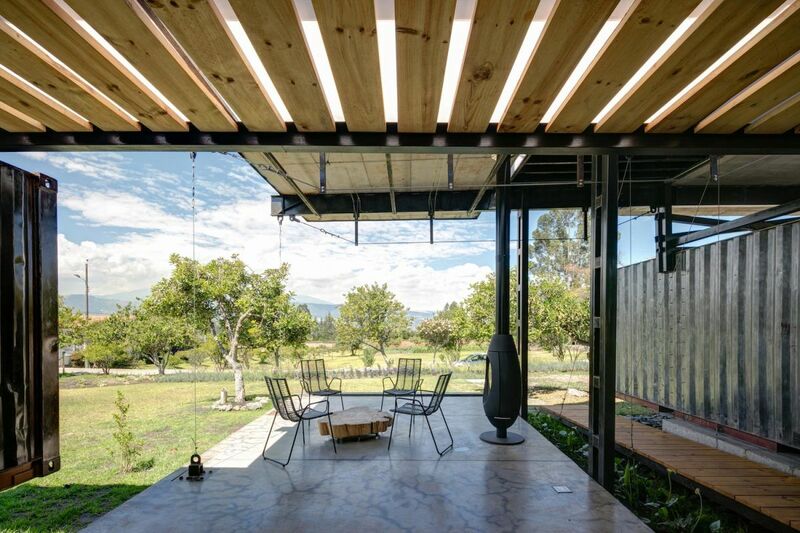 Another unusual element is that cedar tree which grows right through the deck. 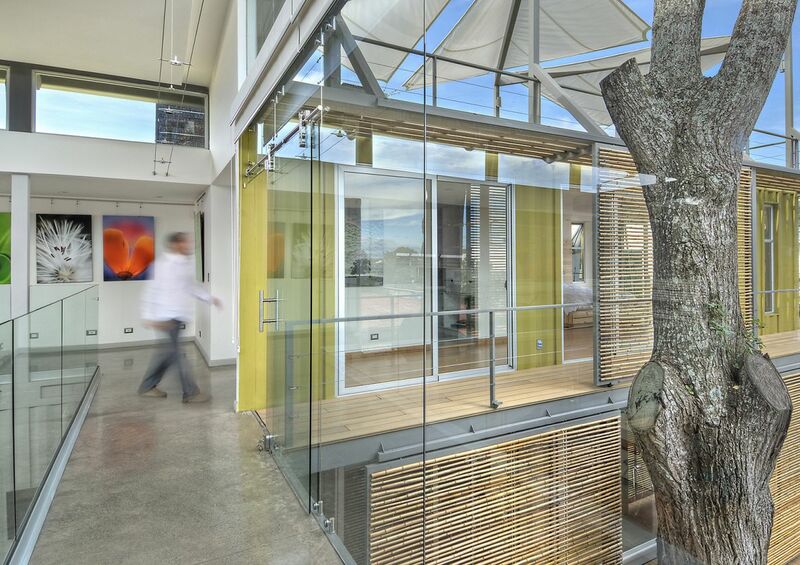 This happens because the house was actually built around this tree and its design was planned so that there’s a view of the tree from every room. 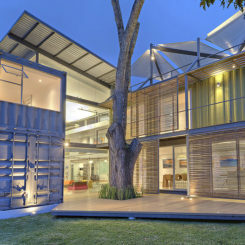 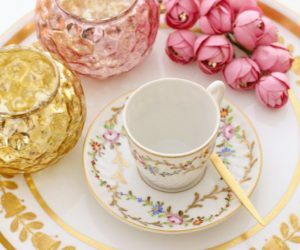 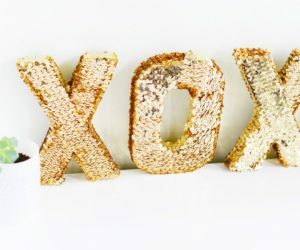 Special importance was given to the materials used throughout the project. 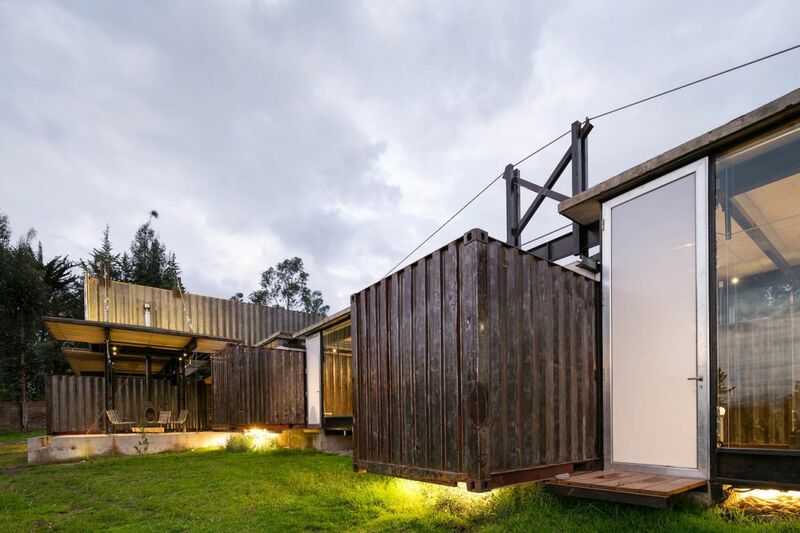 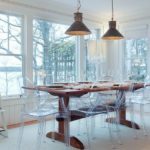 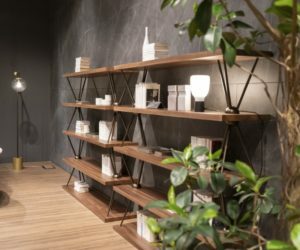 The main goal was to ensure a minimal environmental impact and that had as much to do with the design as it did with the materials and the energy-savign systems implemented throughout. 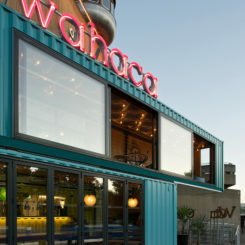 The focus was on renewable, reusable and recyclable materials, hence the choice of using containers. 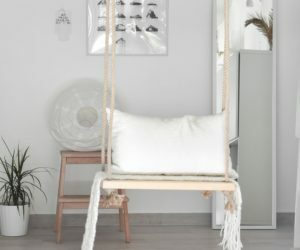 They also had to be durable and low-maintenance. 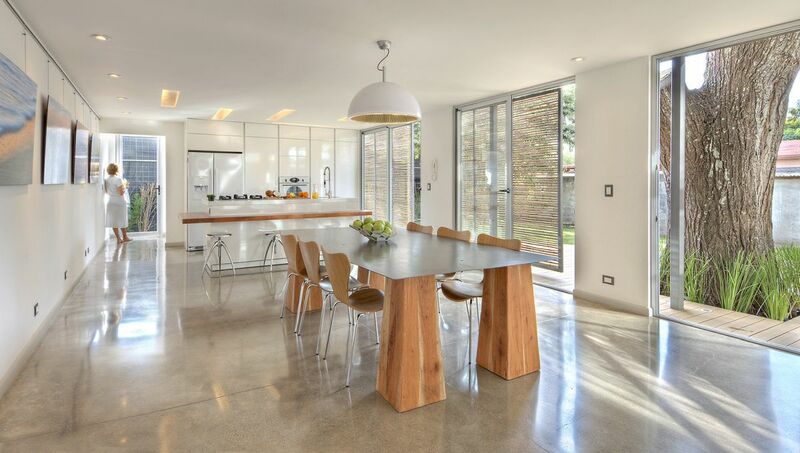 The house features wood surfaces, concrete floors as well as a series of bamboo accents. 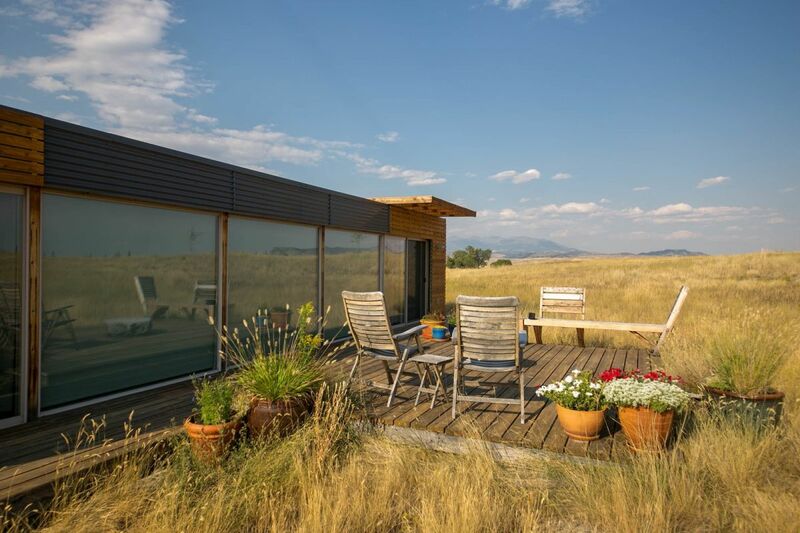 Moreover, there’s a rainwater harvesting system used for irrigation and solar panels are installed on the roof of the house. 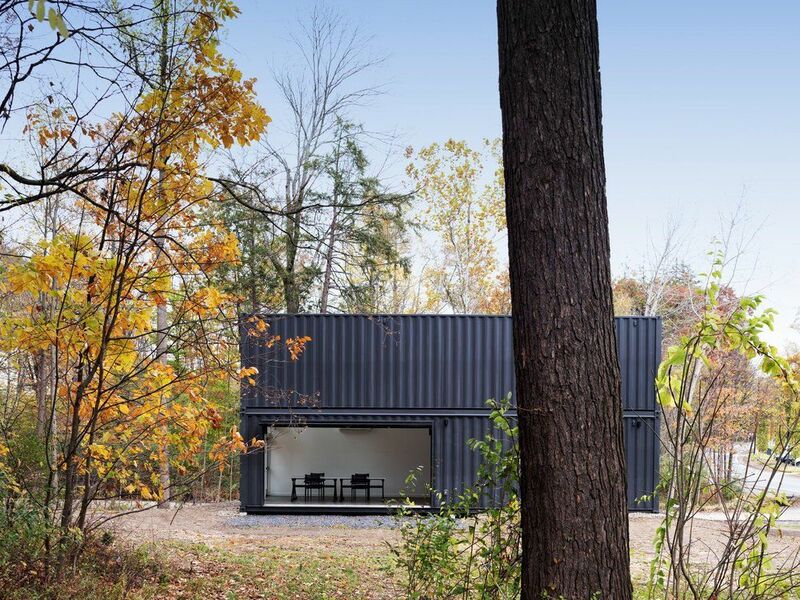 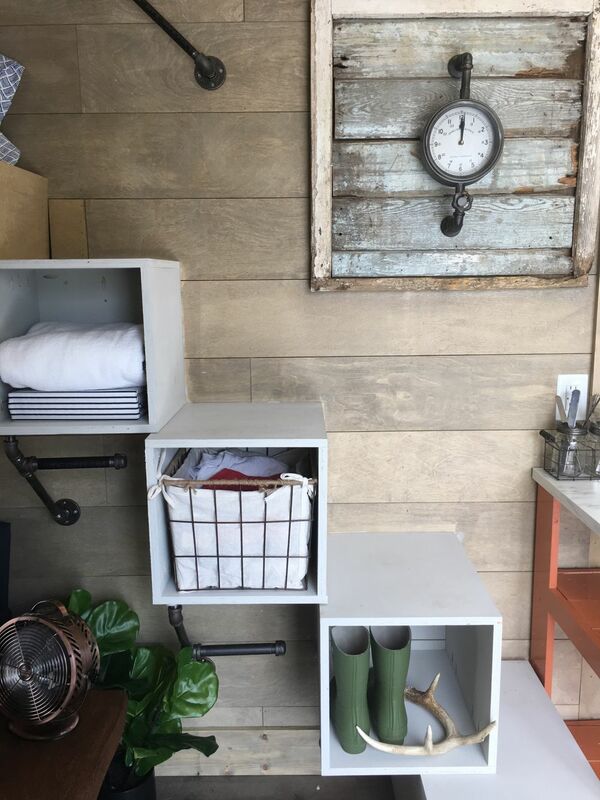 If you’re curious to experiment living in a storage container home just to get the feel of it, you could rent out the Containment house which is situated in Saugerties, New York. 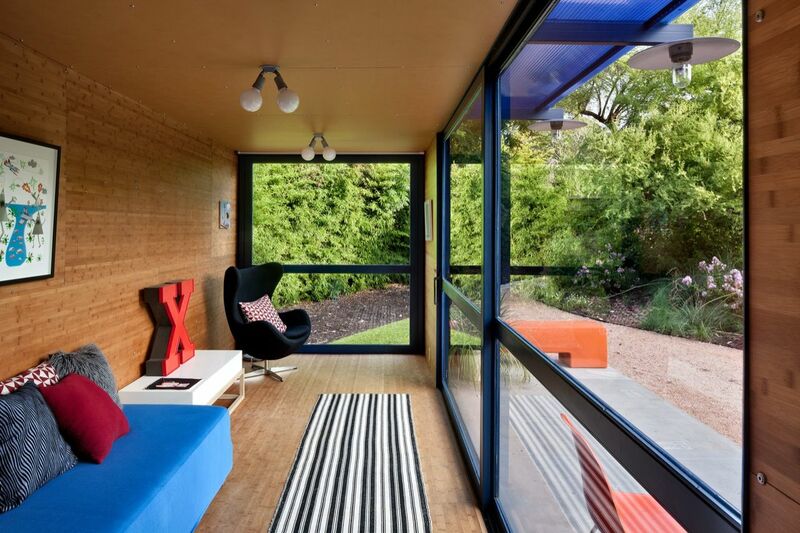 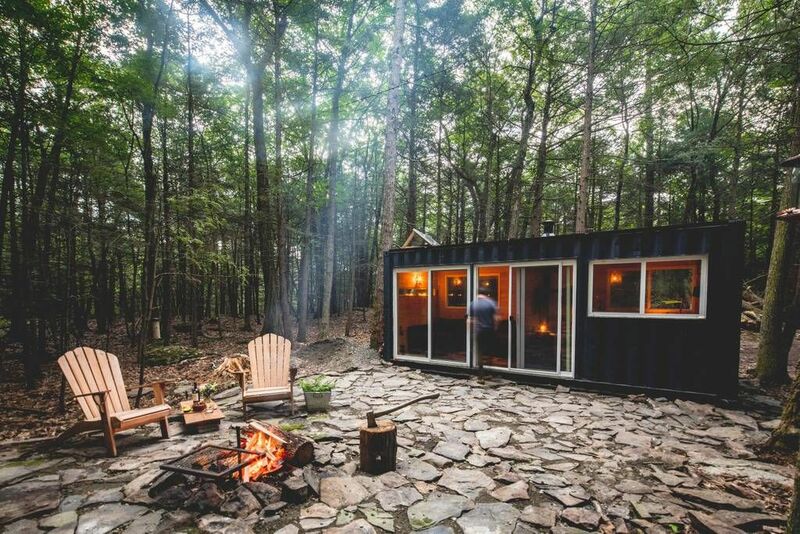 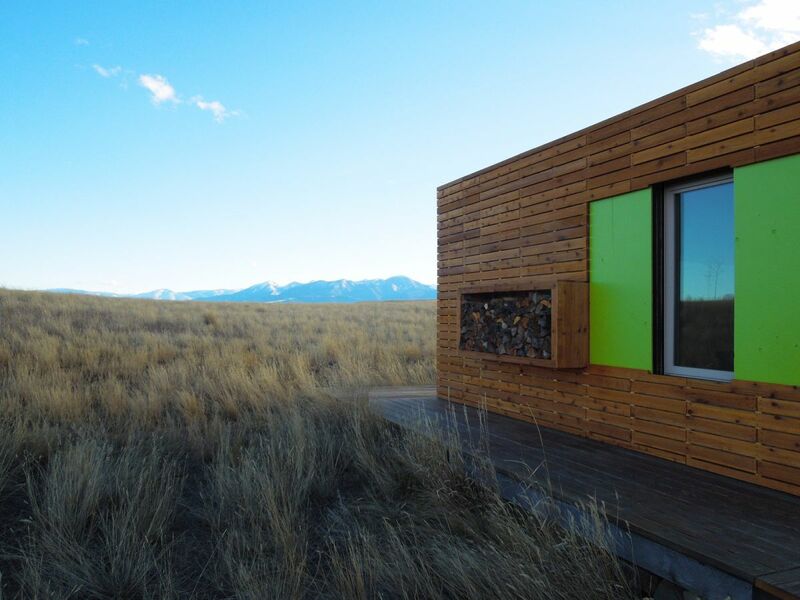 It’s a charming little cabin housed inside a shipping container. 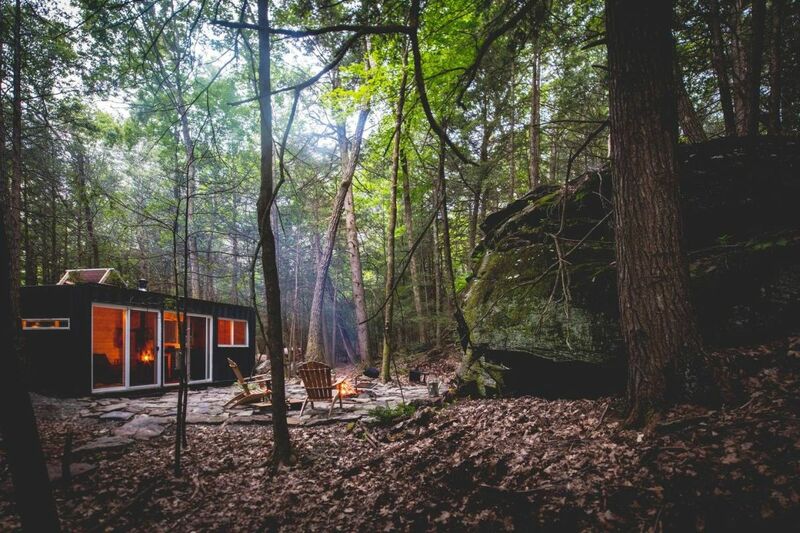 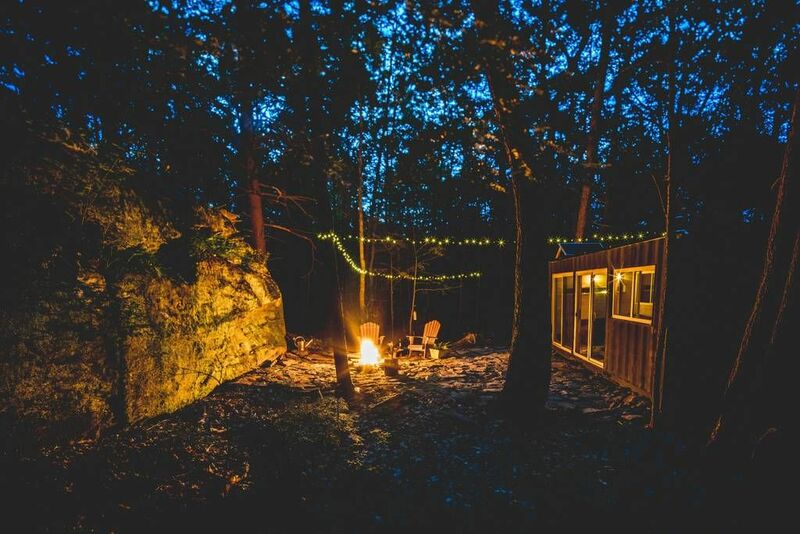 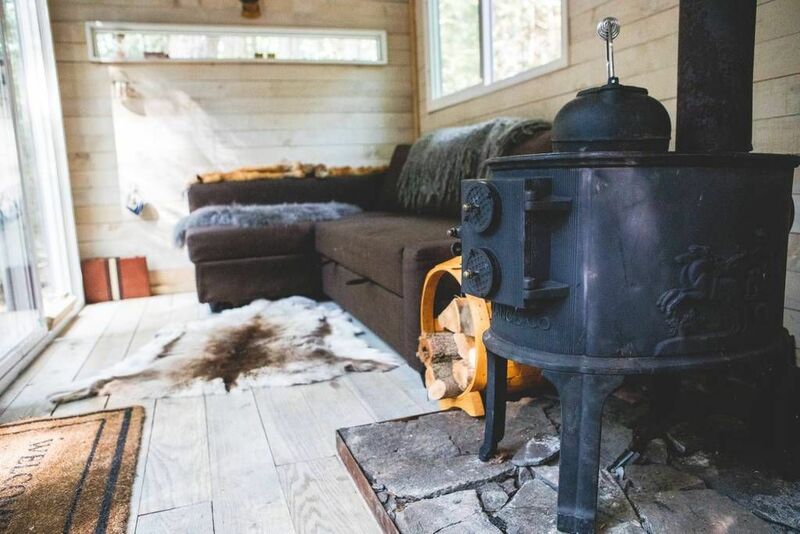 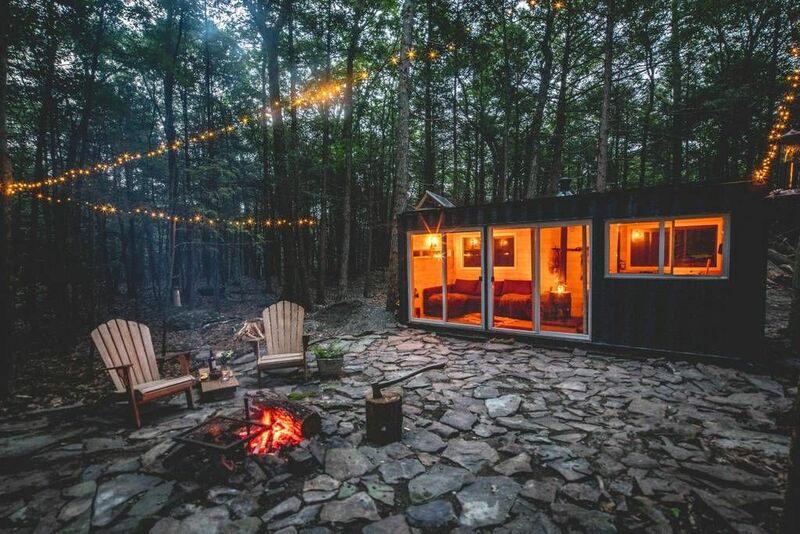 Inside there’s a lounge area with a wood stove and a comfortable sofa bed, a kitchenette with all the basic appliances and features and a lot of cool features such as a writing desk, a record player, a yoga platform, a hot tub and there’s even a hammock and a fire pit outside. 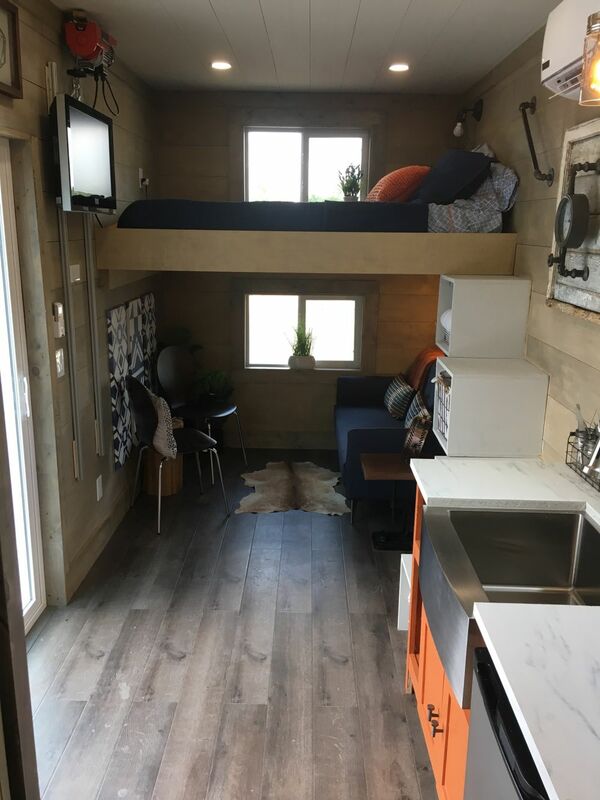 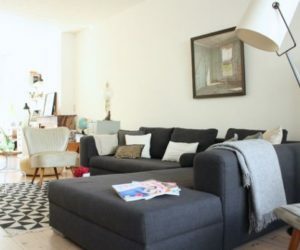 You can rent this through Aibnb.